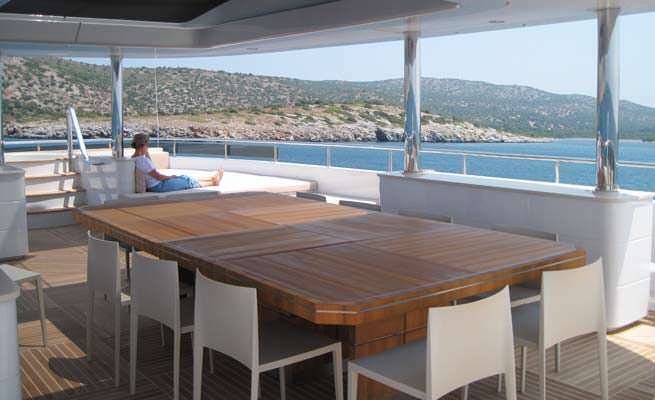 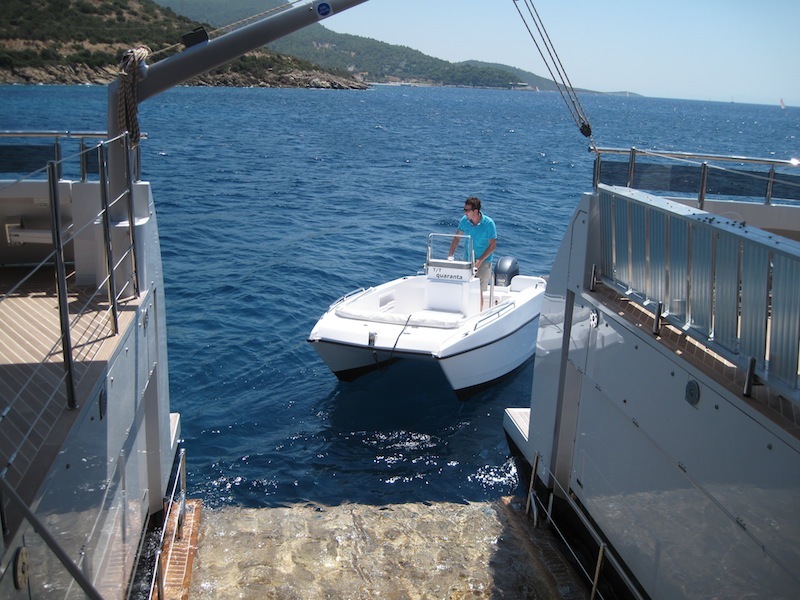 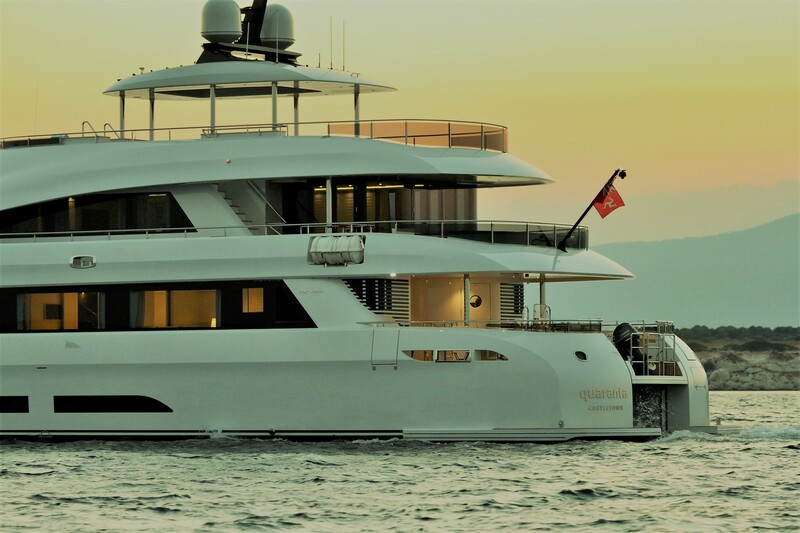 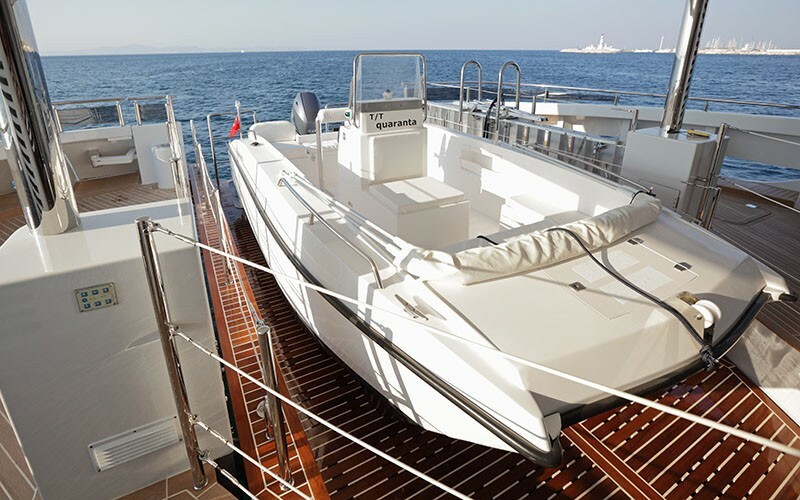 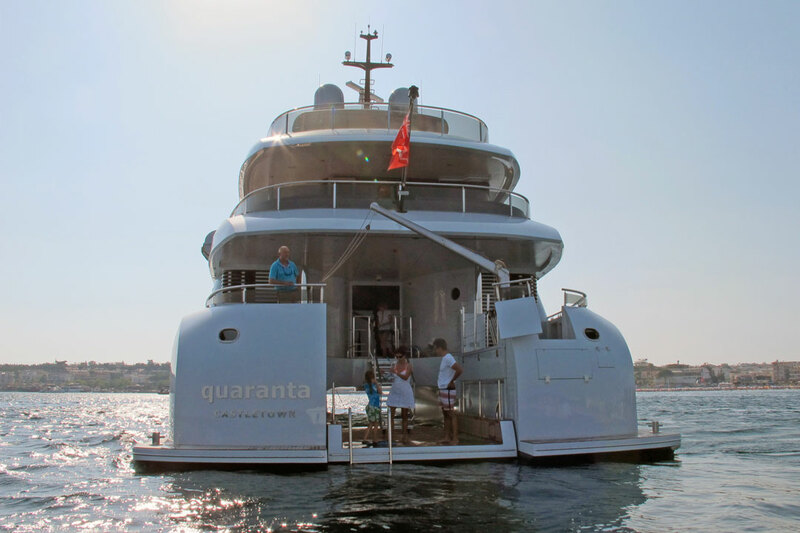 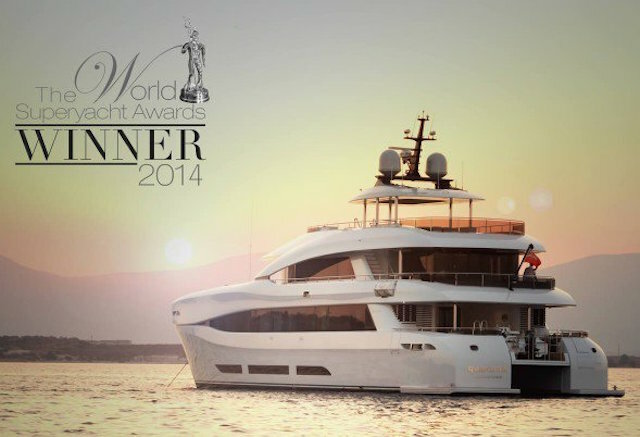 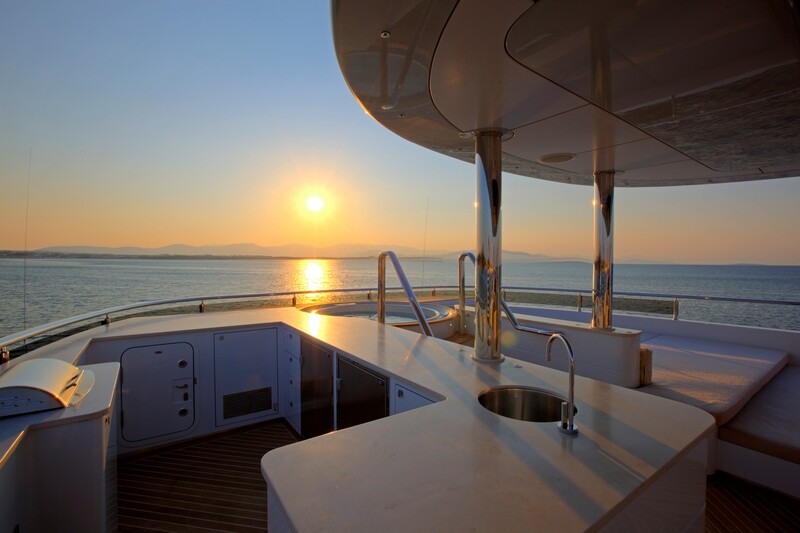 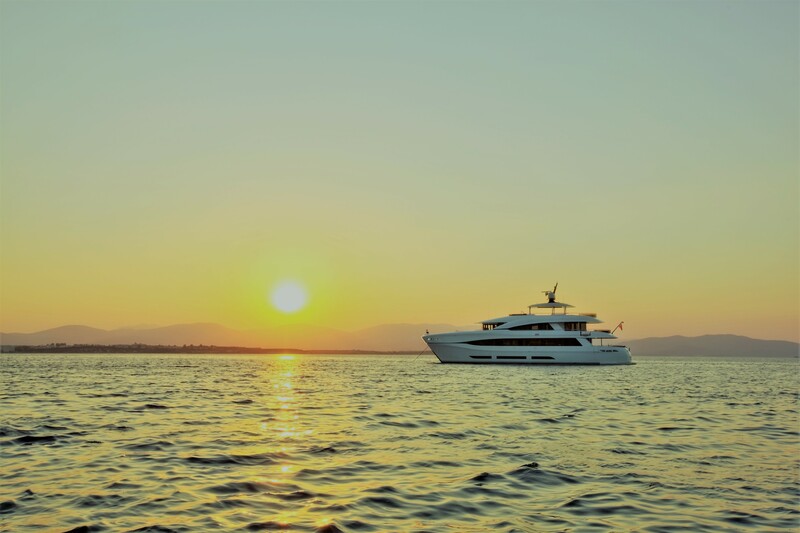 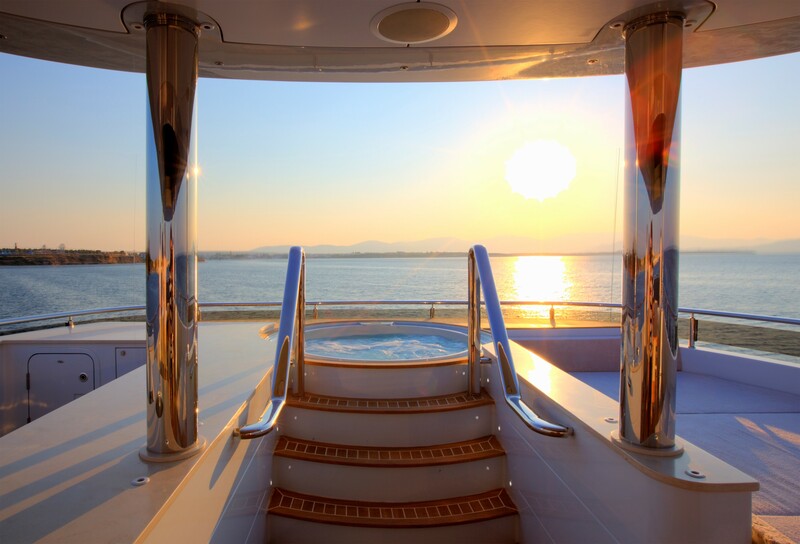 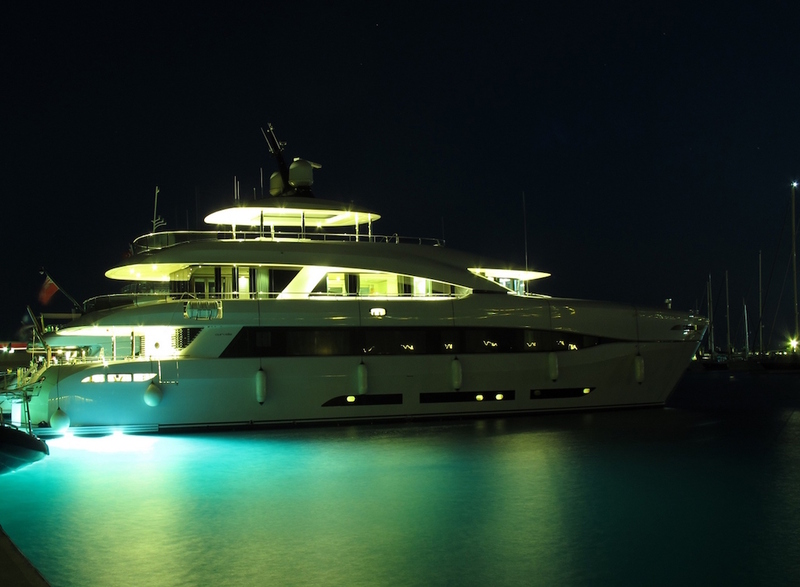 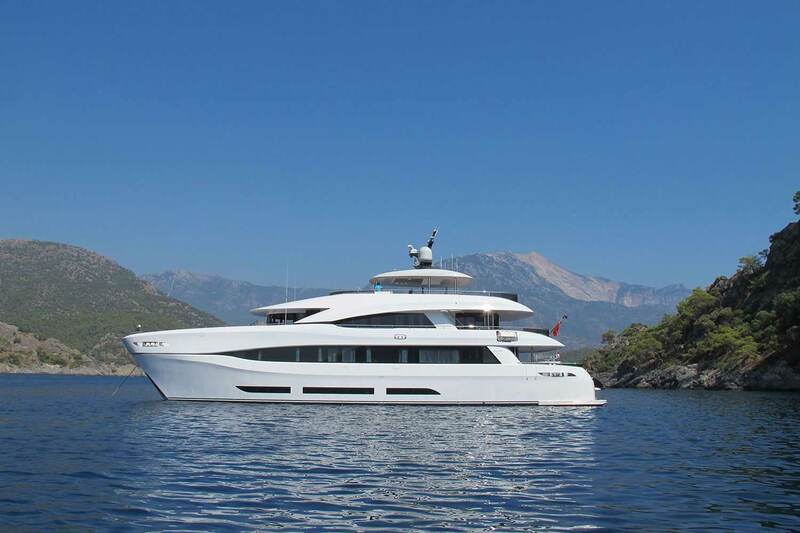 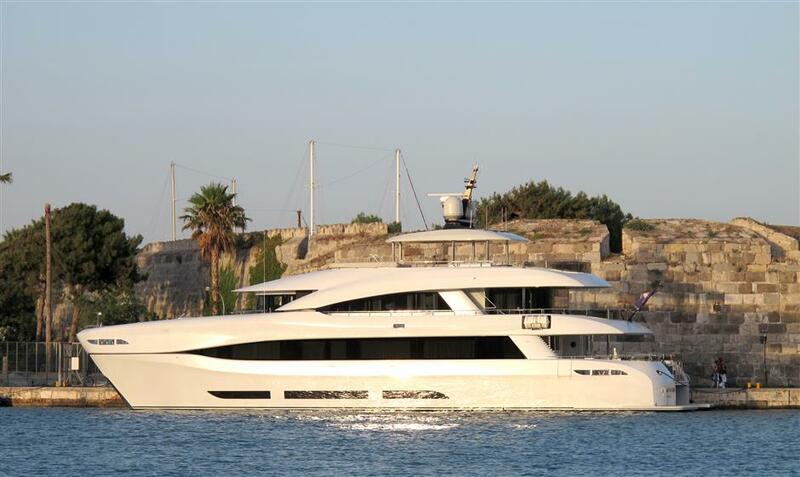 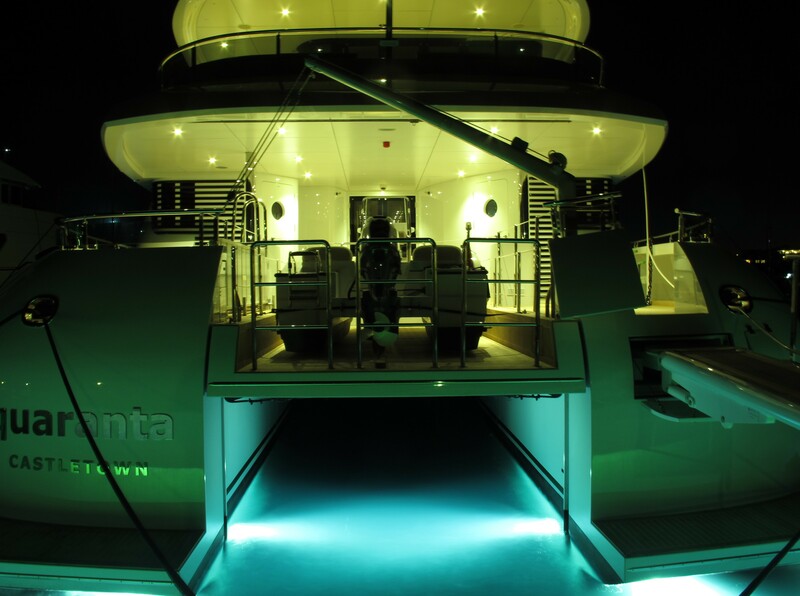 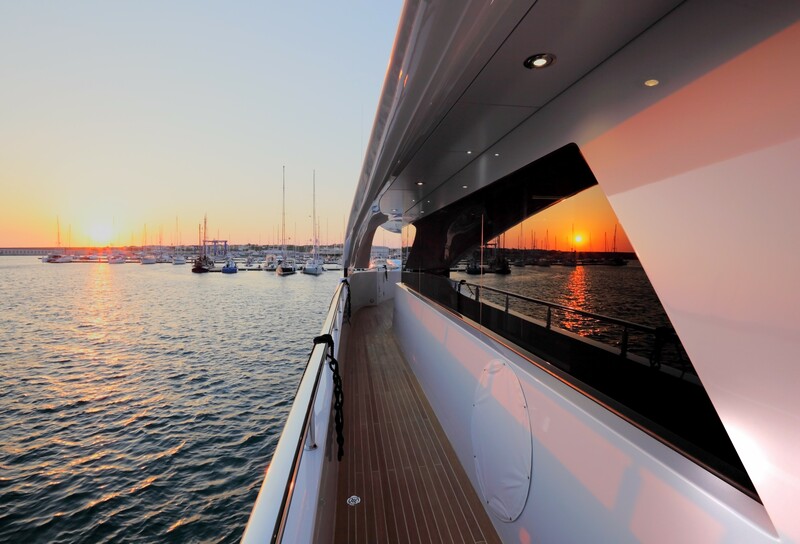 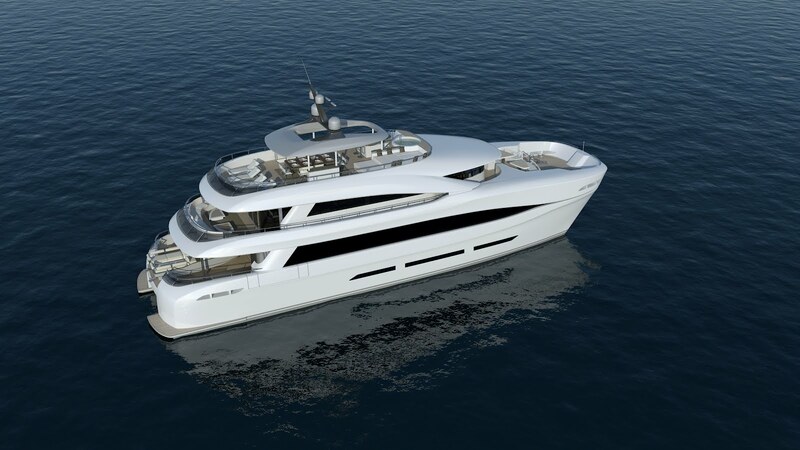 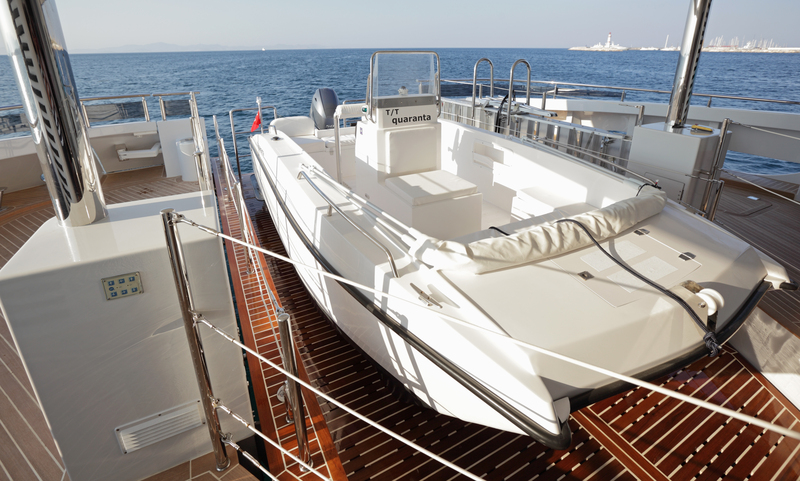 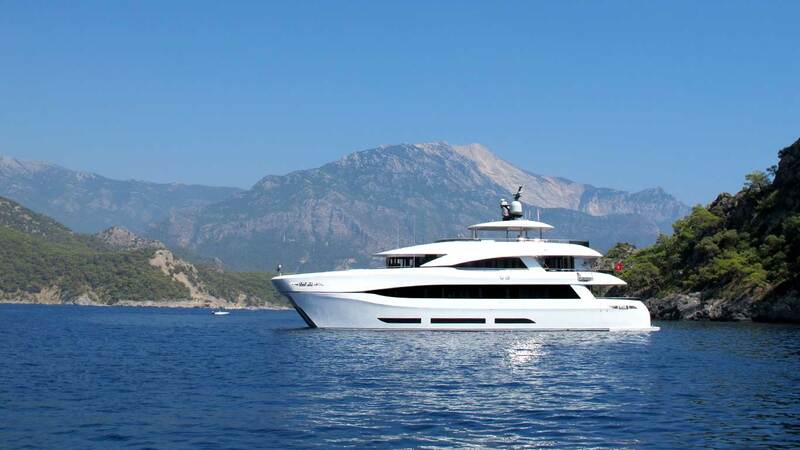 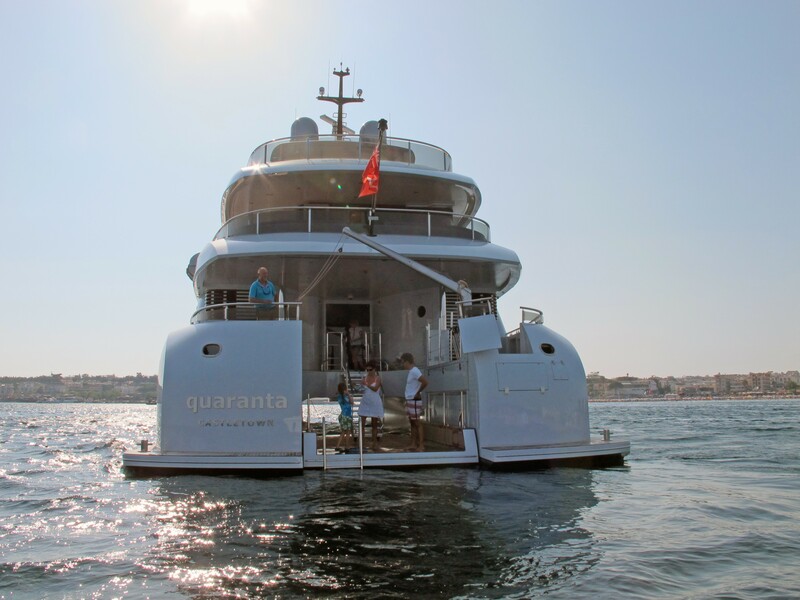 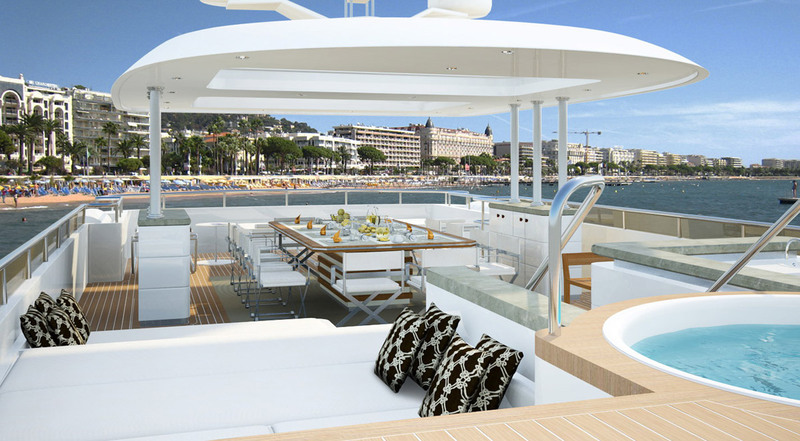 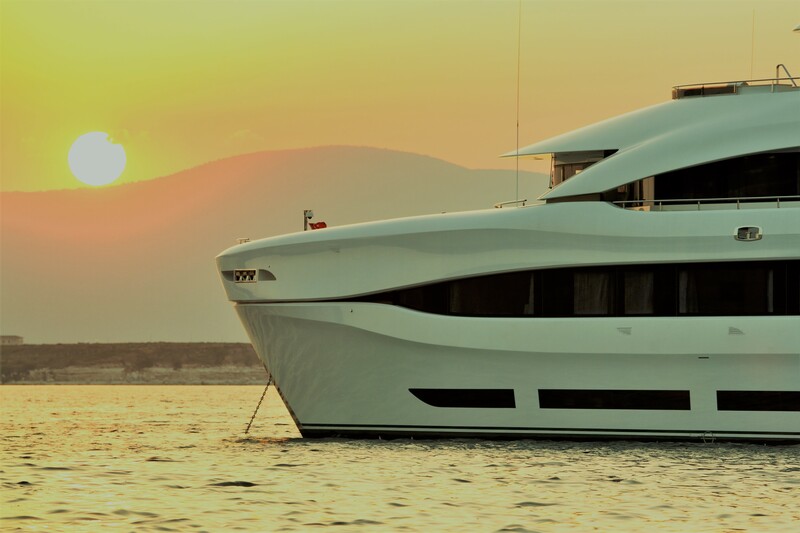 The magnificent 34-metre motor yacht Quaranta is a beautiful catamaran, built by Curvelle - Logos in Tuzla, Turkey. 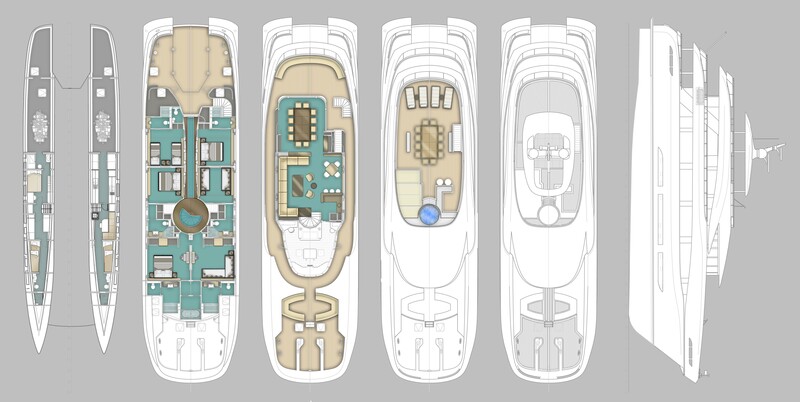 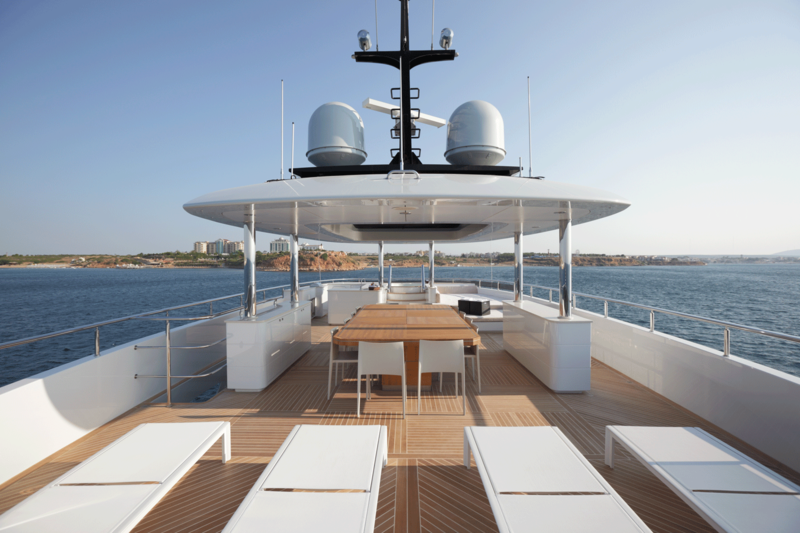 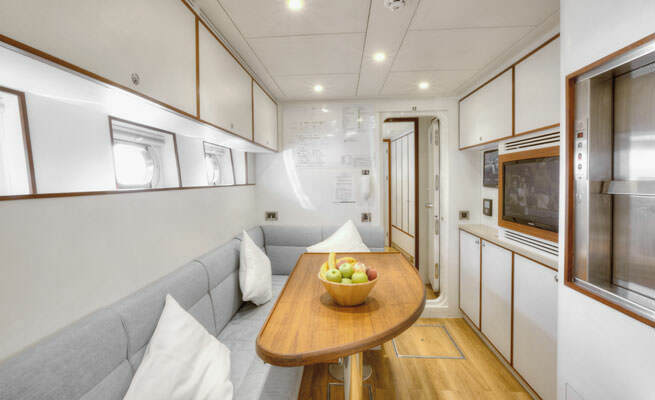 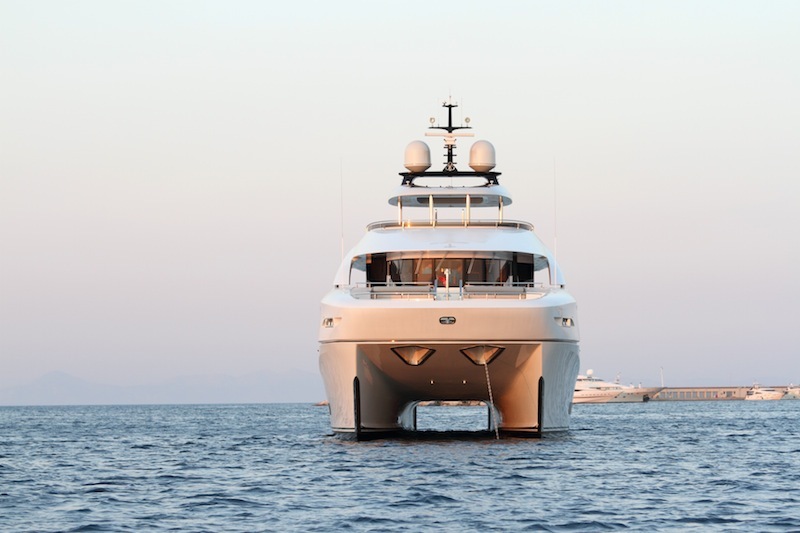 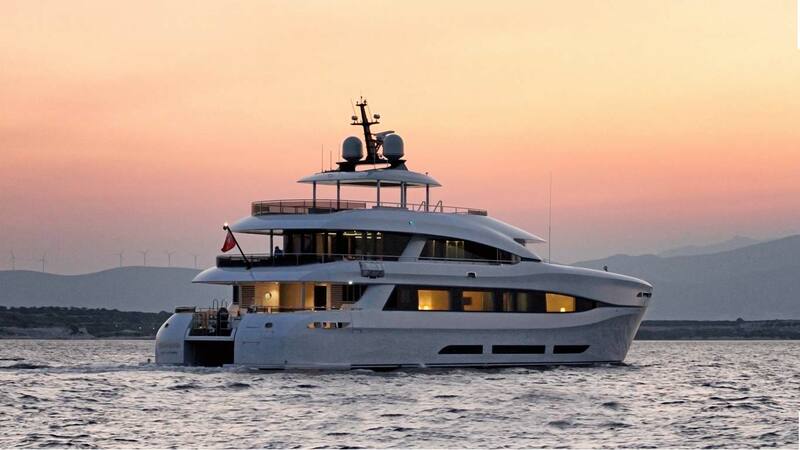 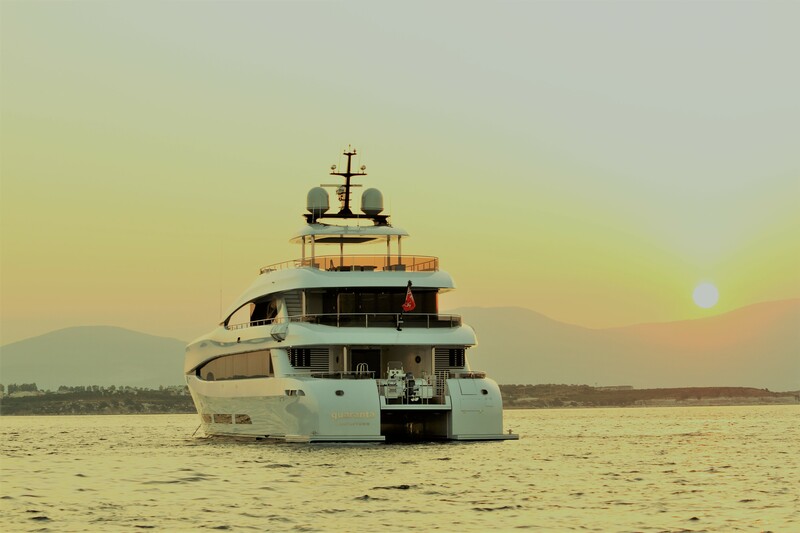 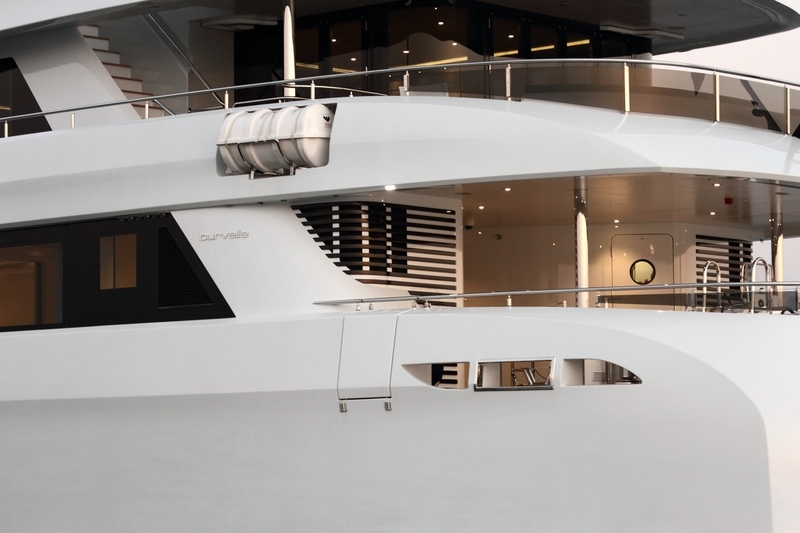 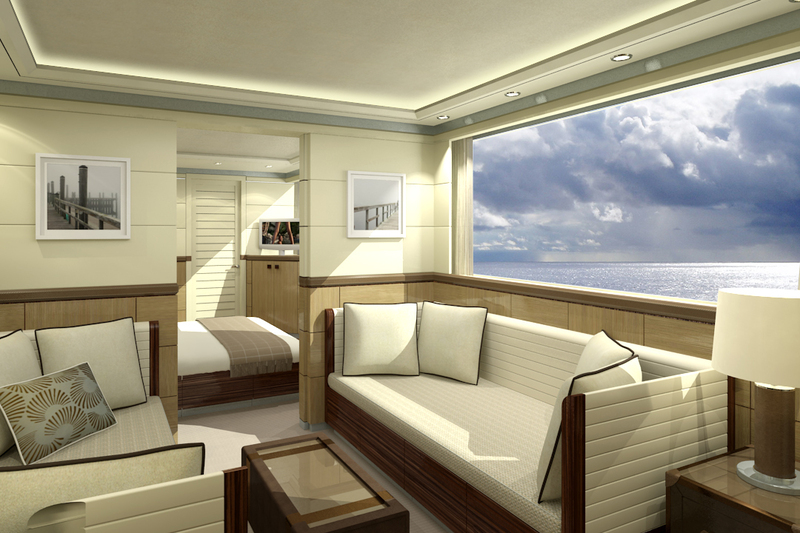 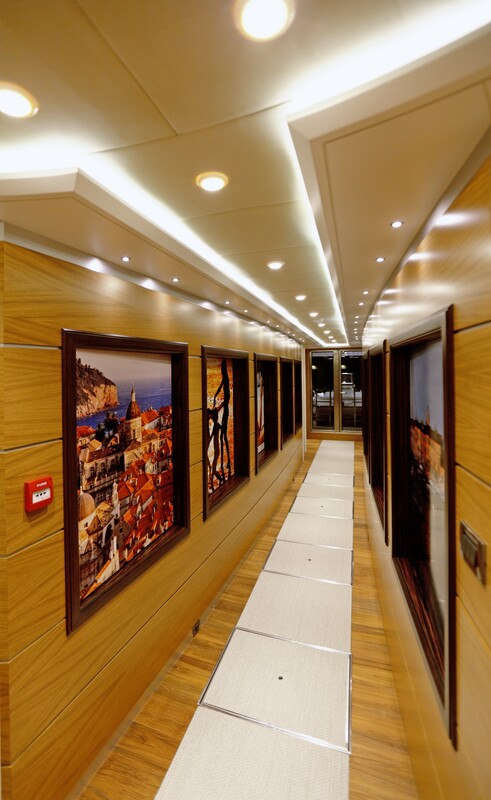 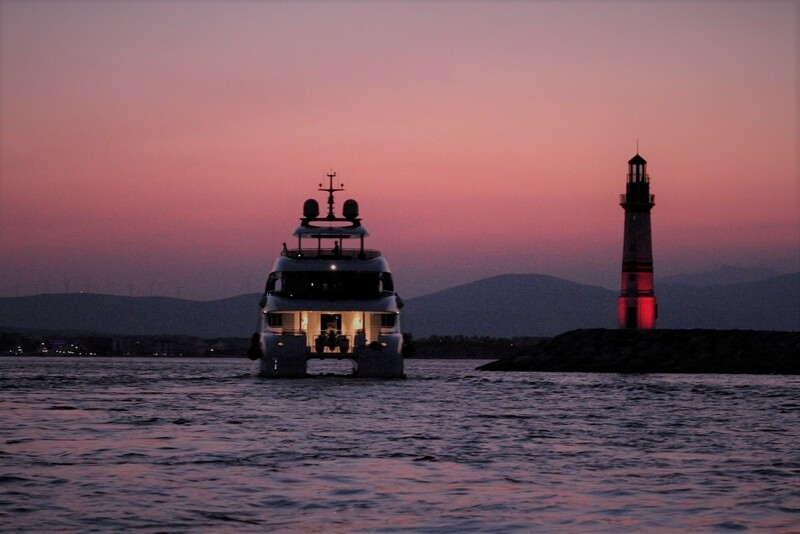 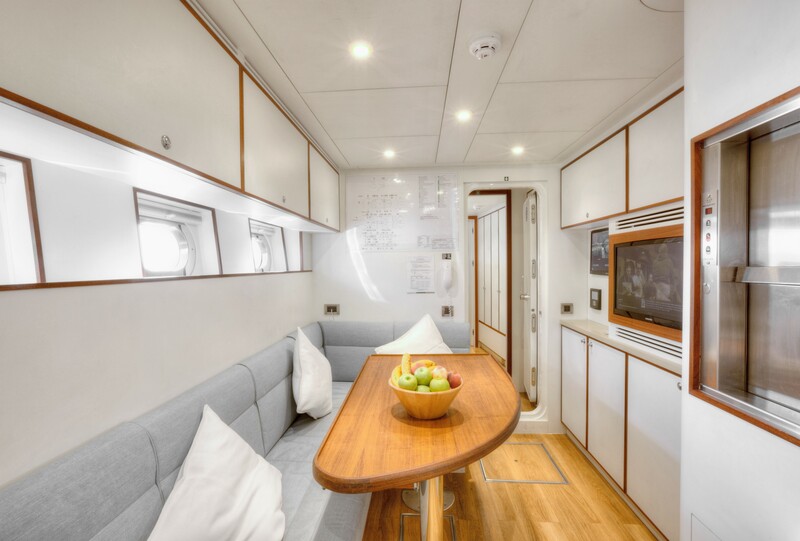 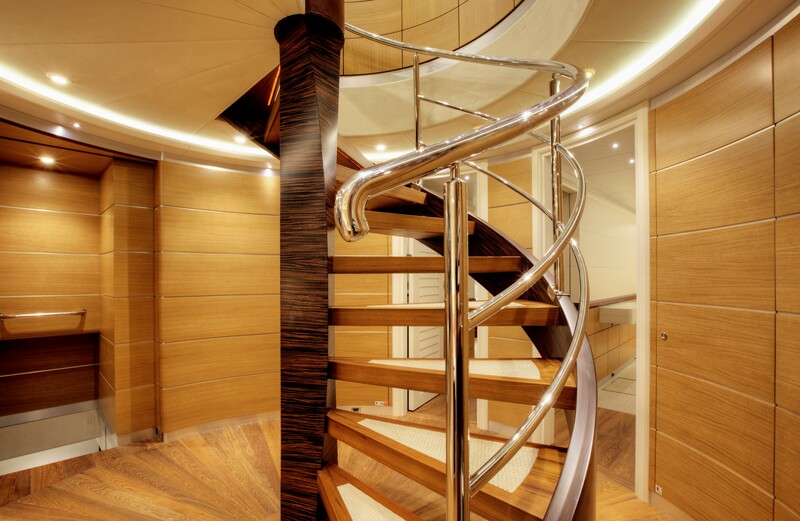 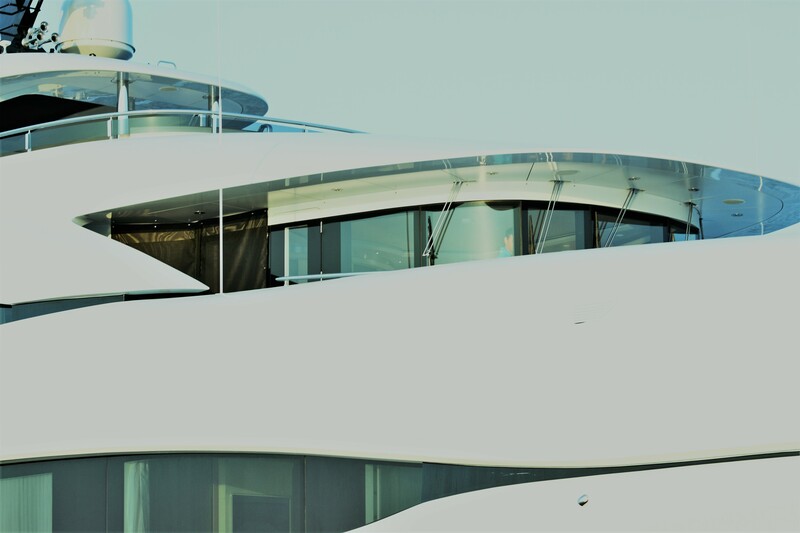 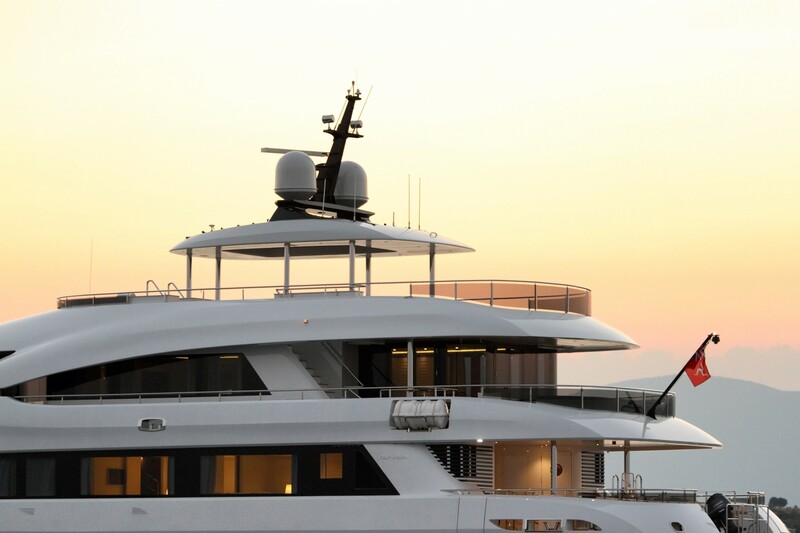 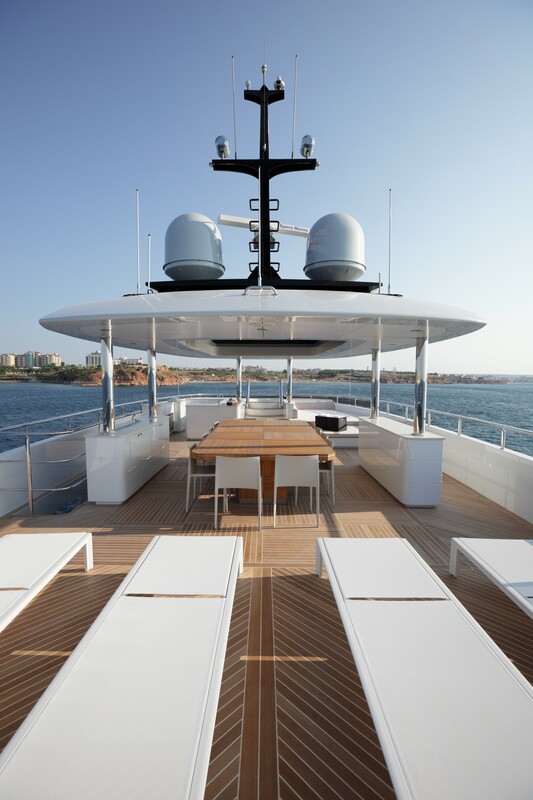 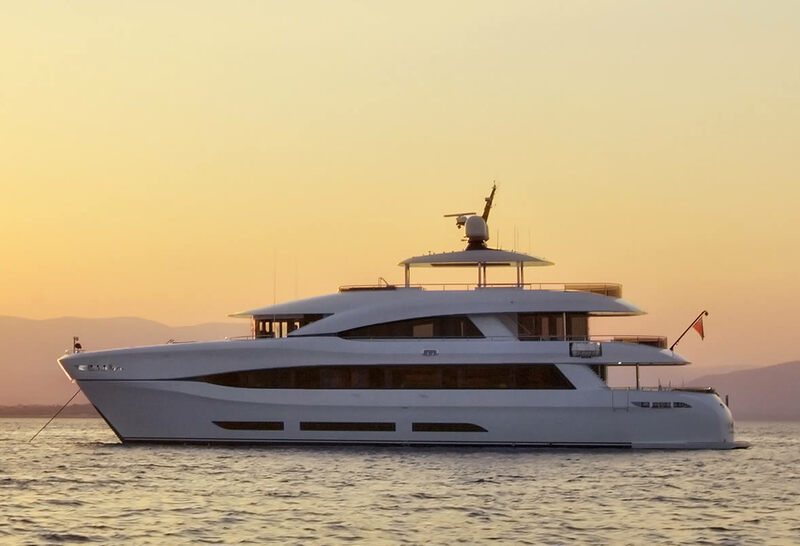 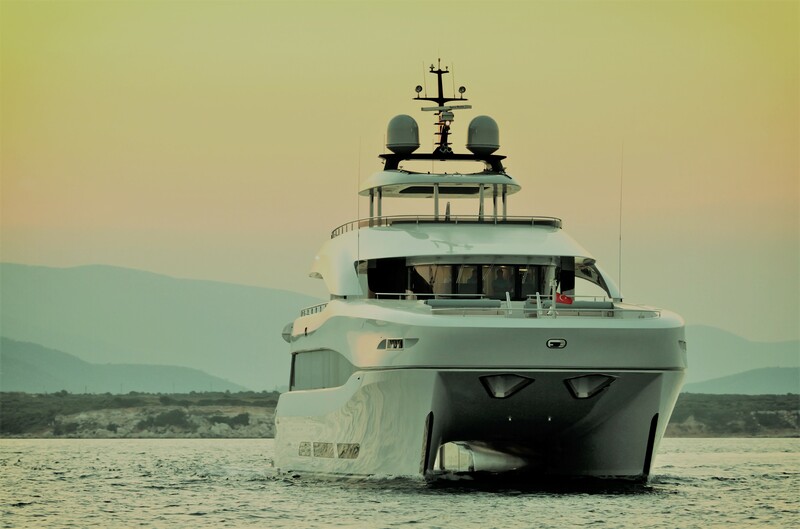 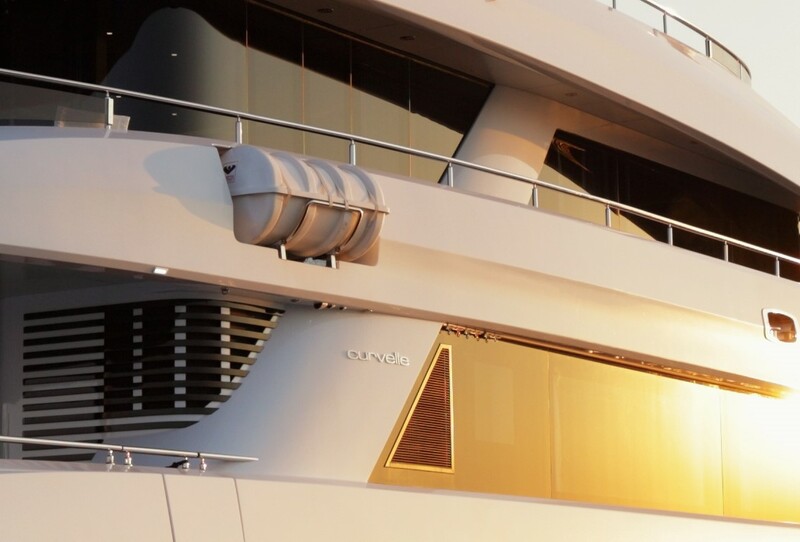 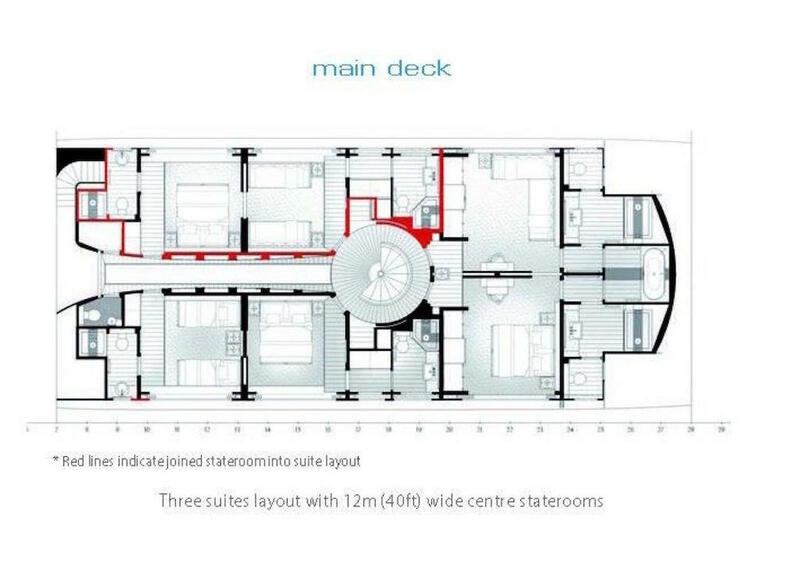 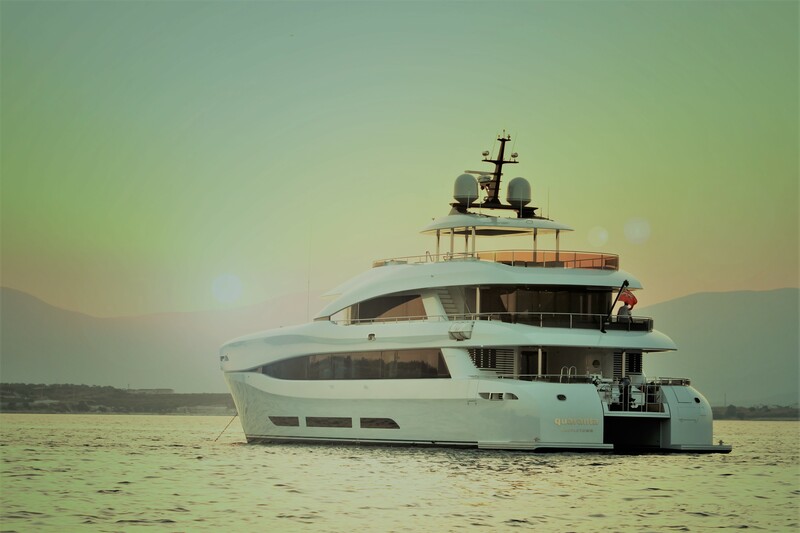 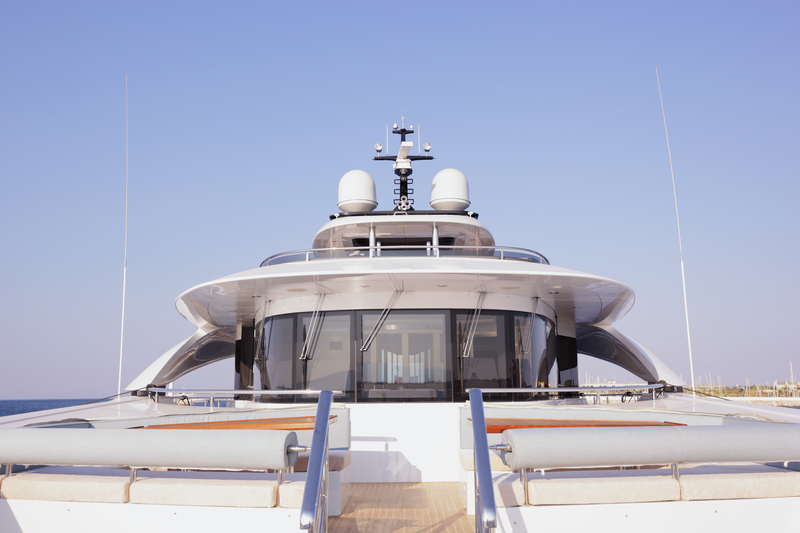 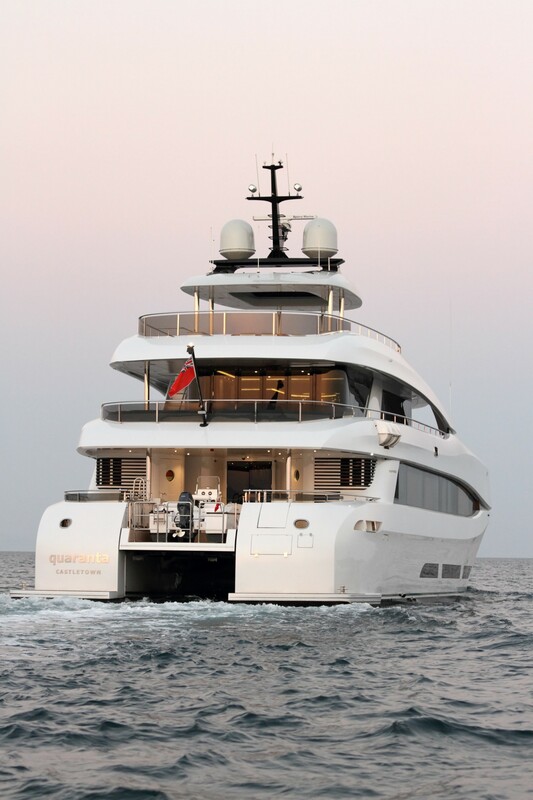 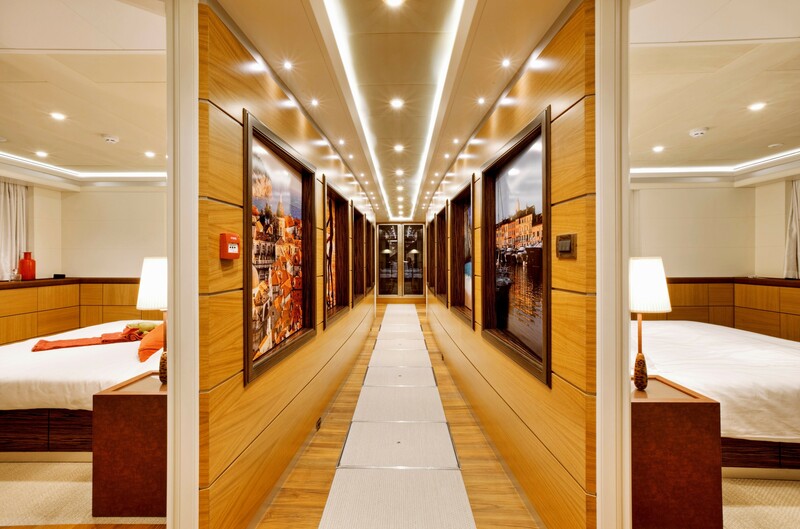 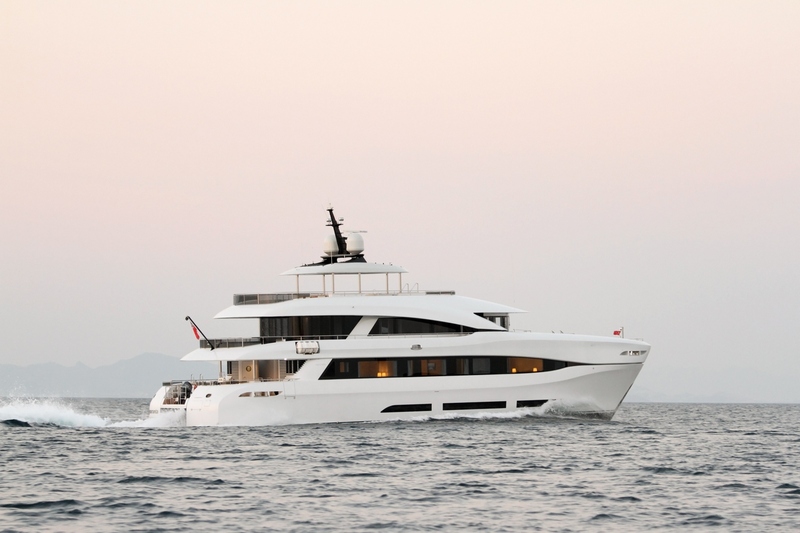 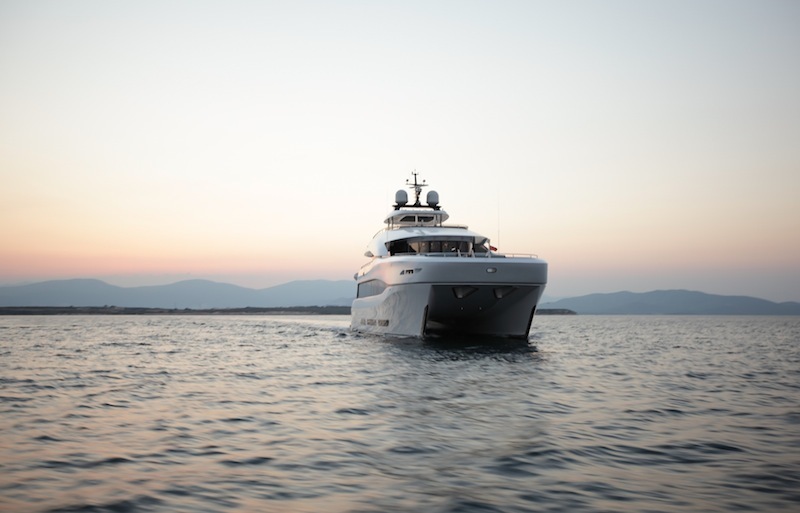 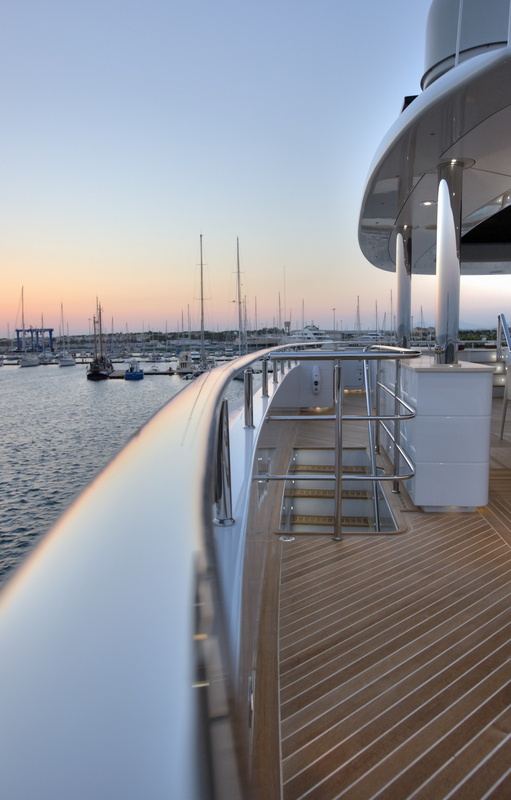 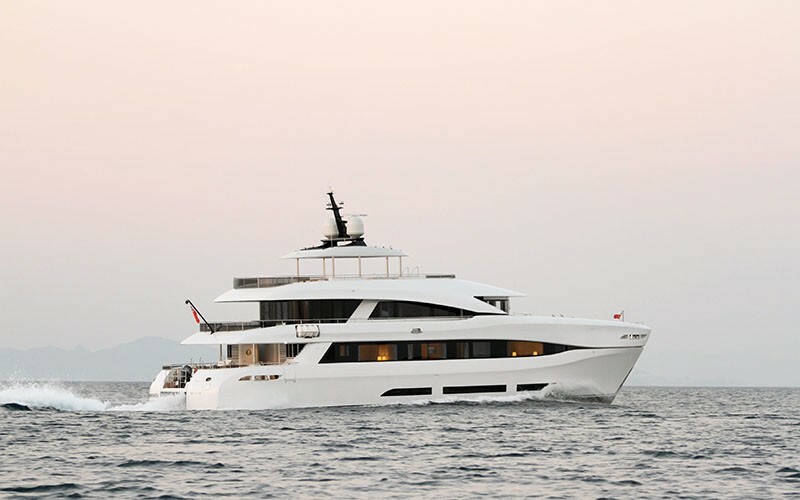 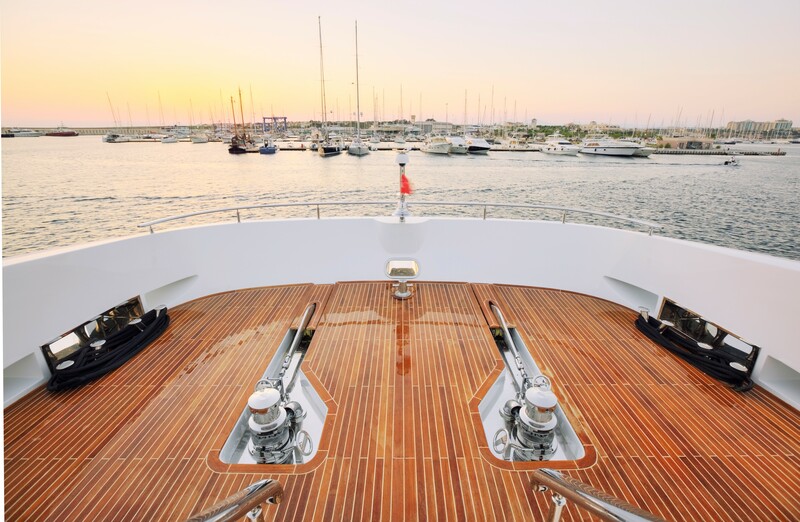 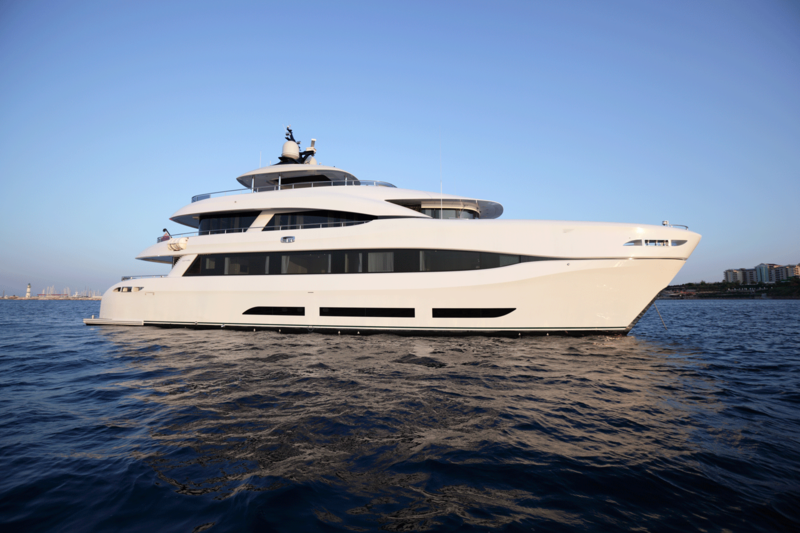 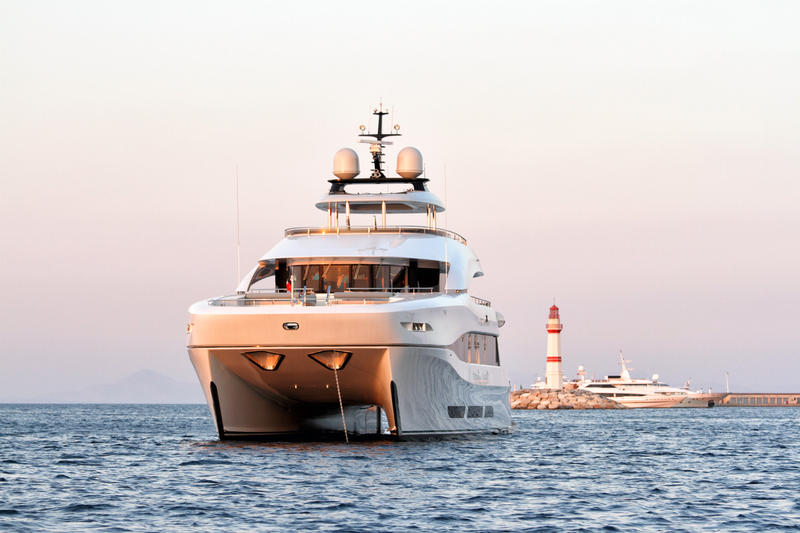 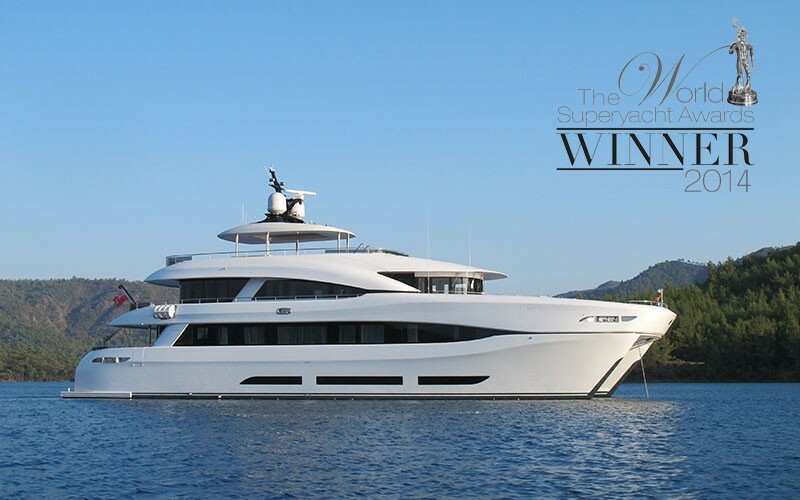 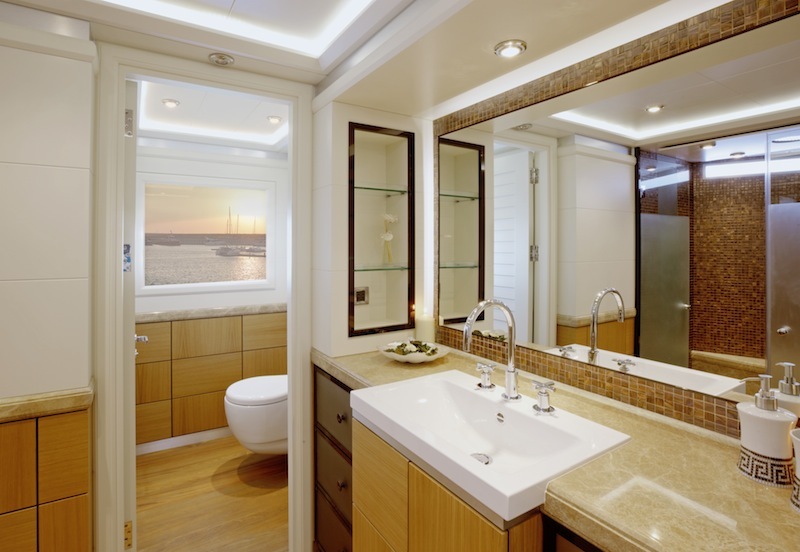 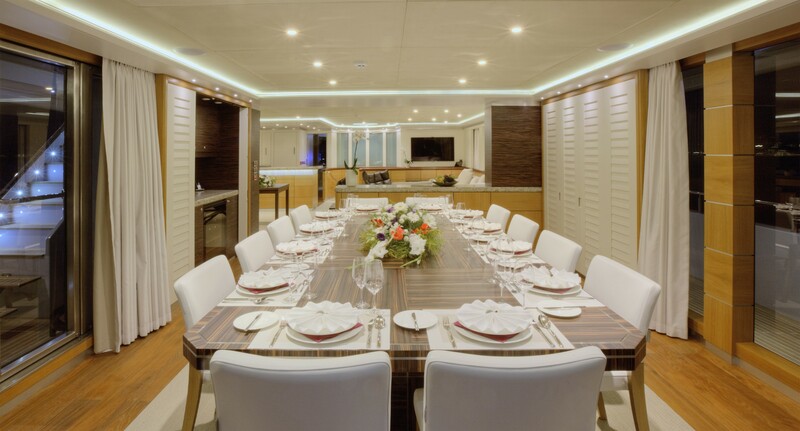 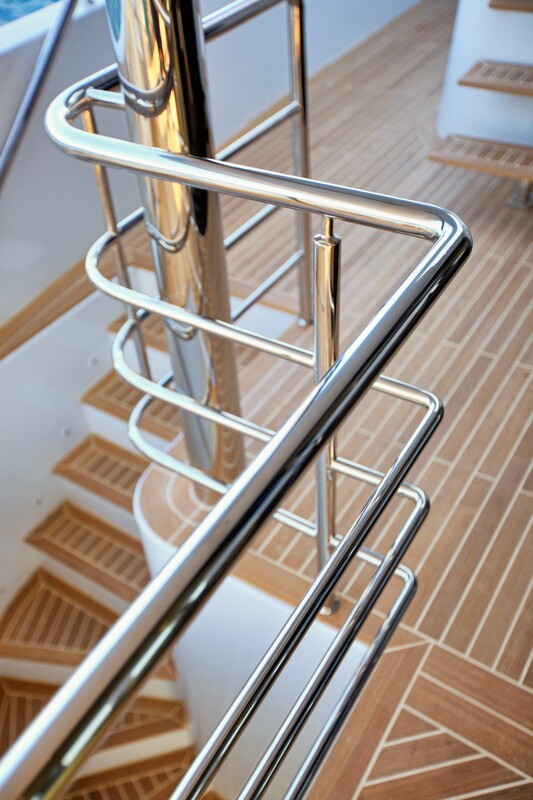 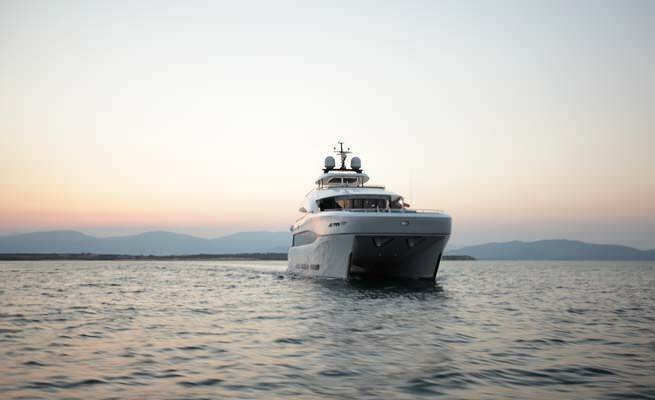 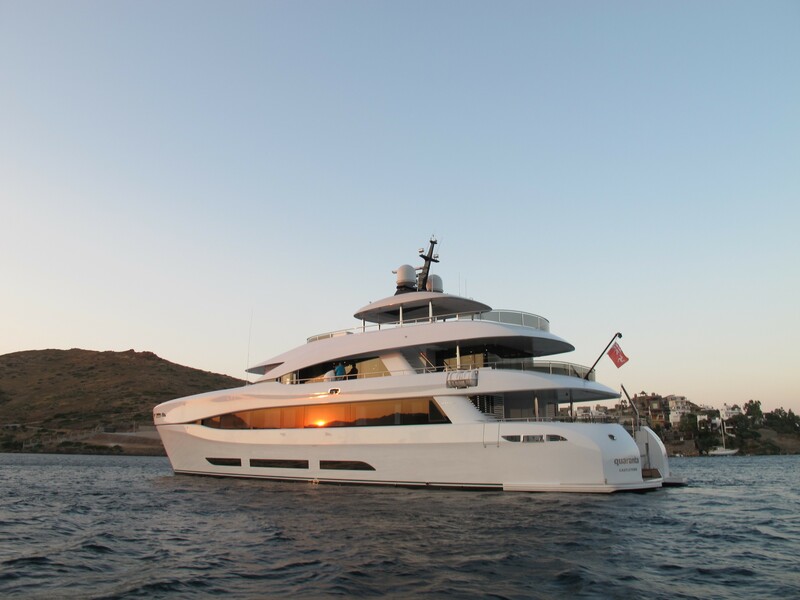 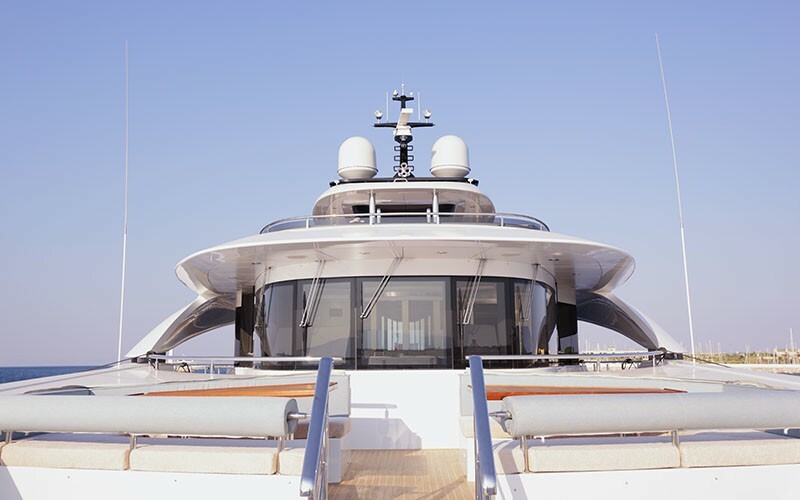 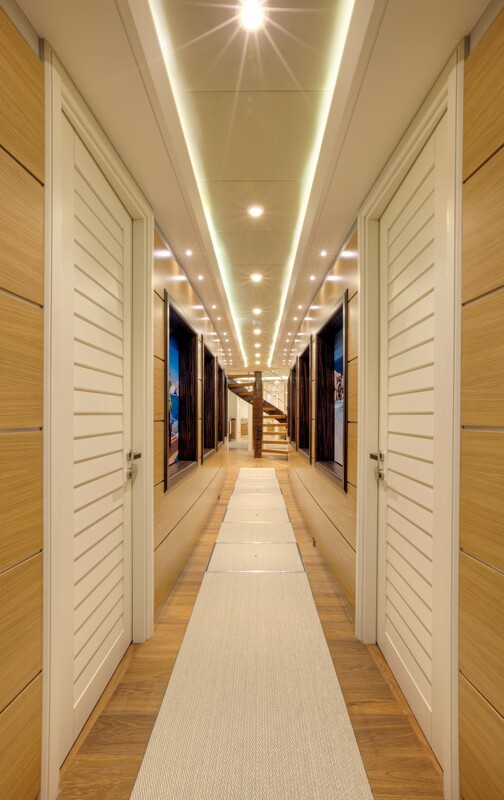 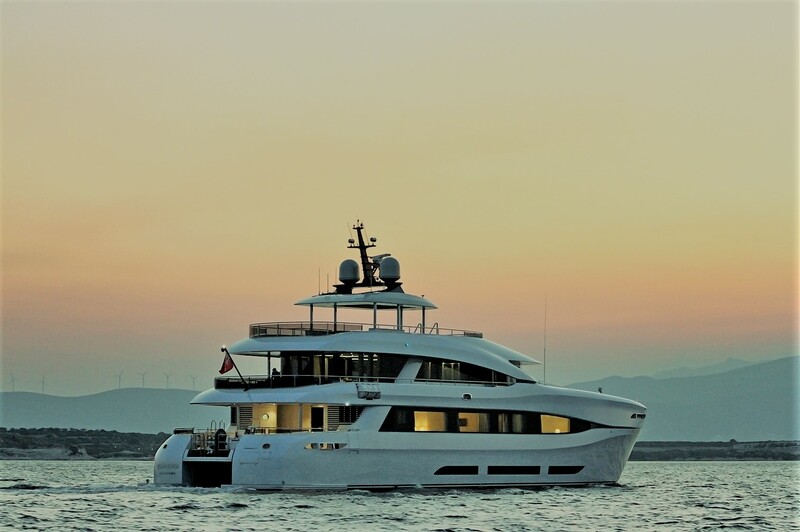 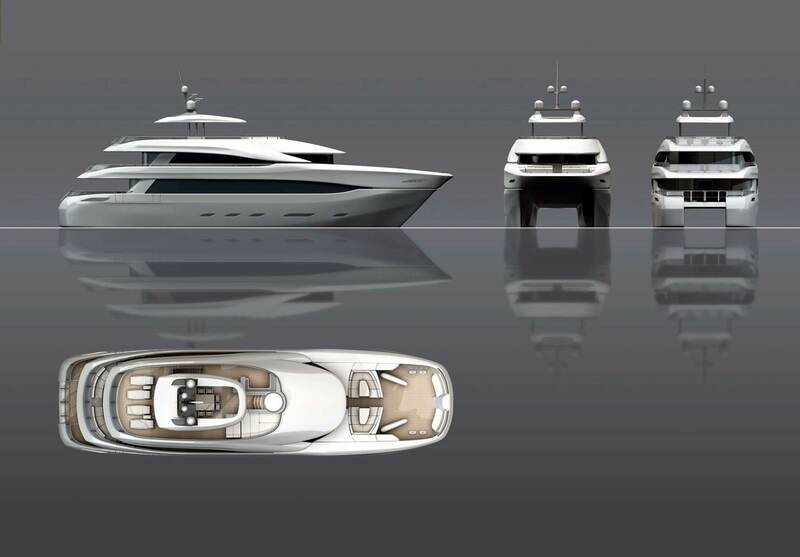 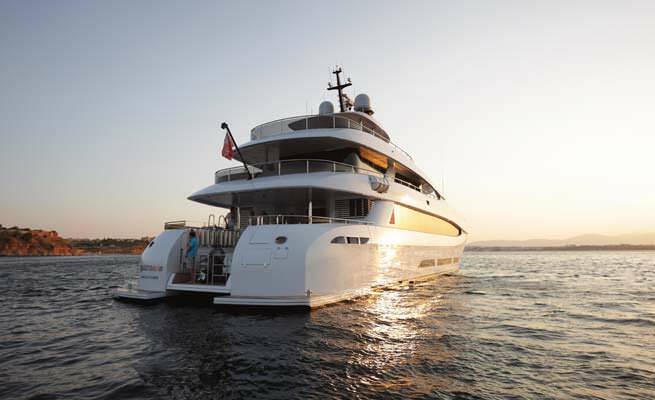 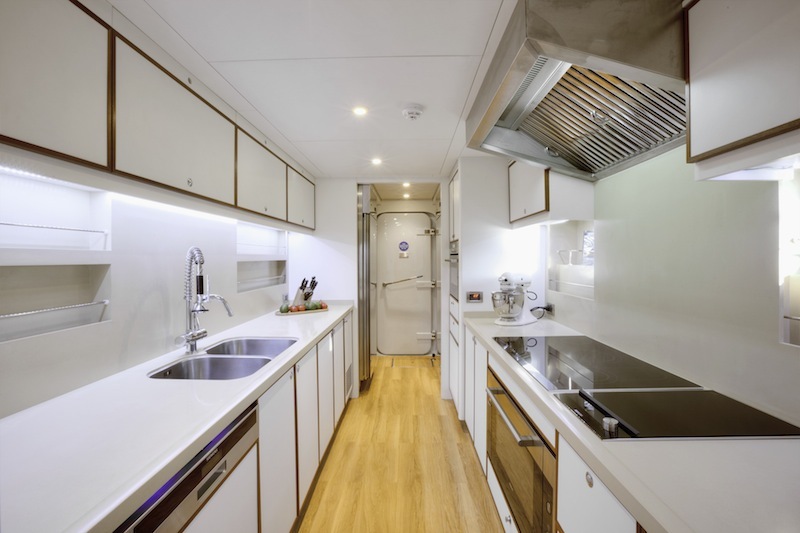 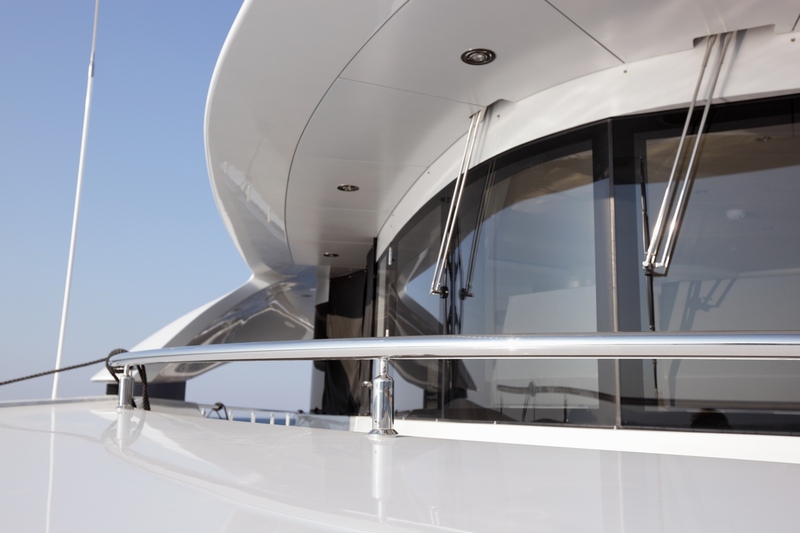 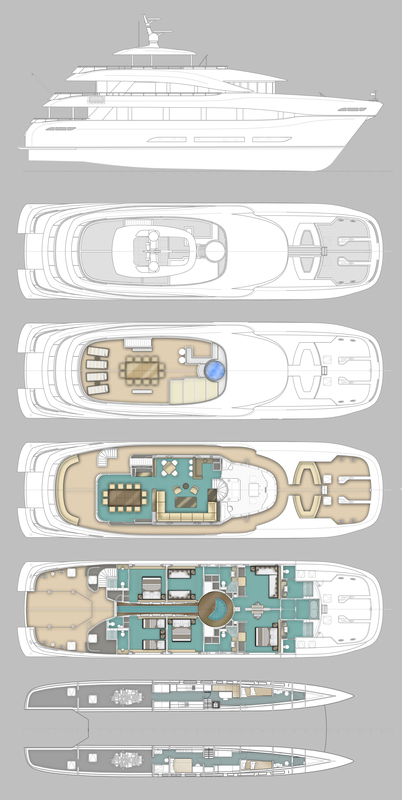 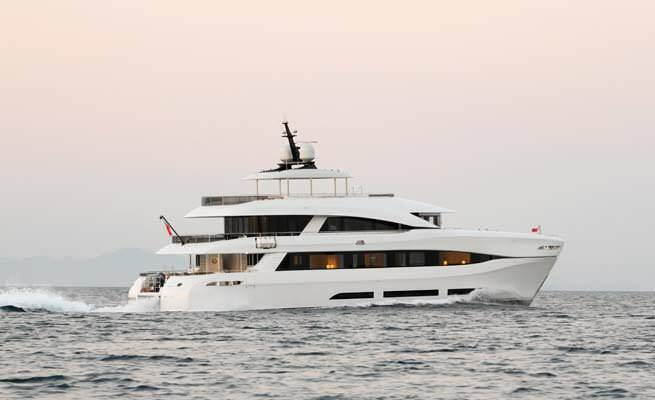 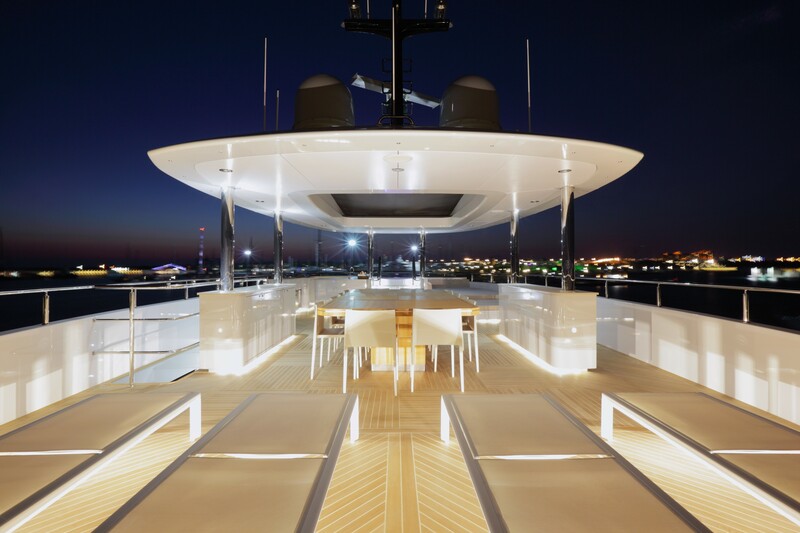 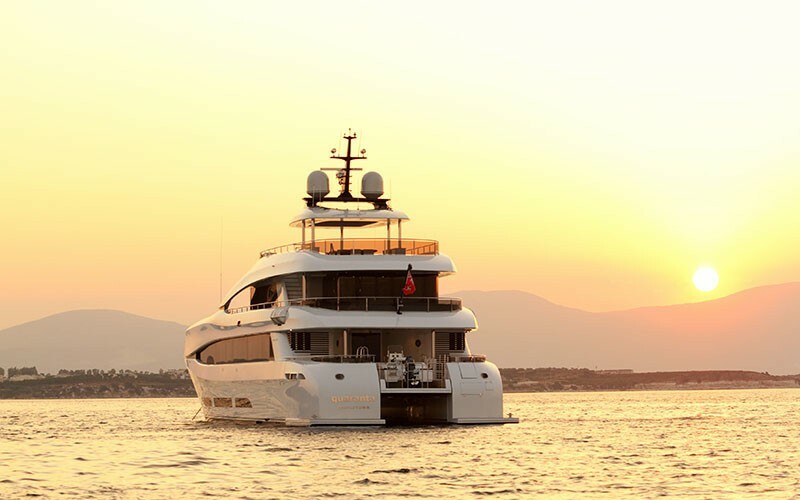 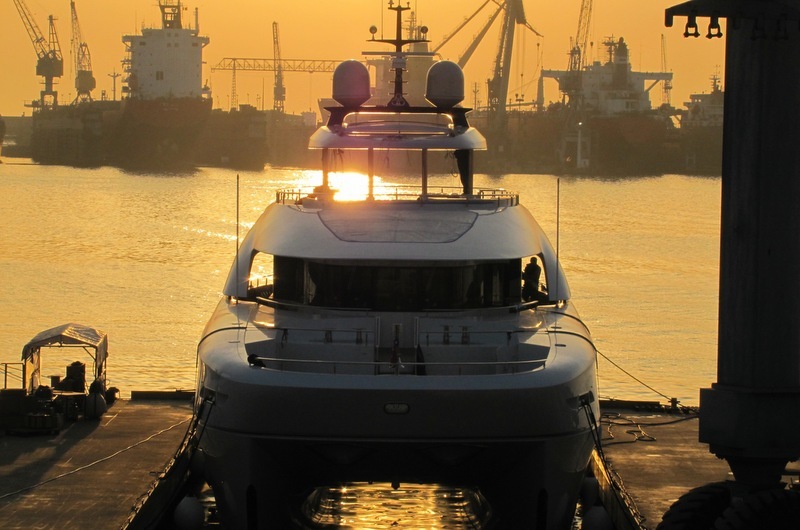 With naval architecture by Incat Crowther, Quaranta superyacht's exterior styling is by Mauro Giamboi, while her interior design is by Lila-Lou London. 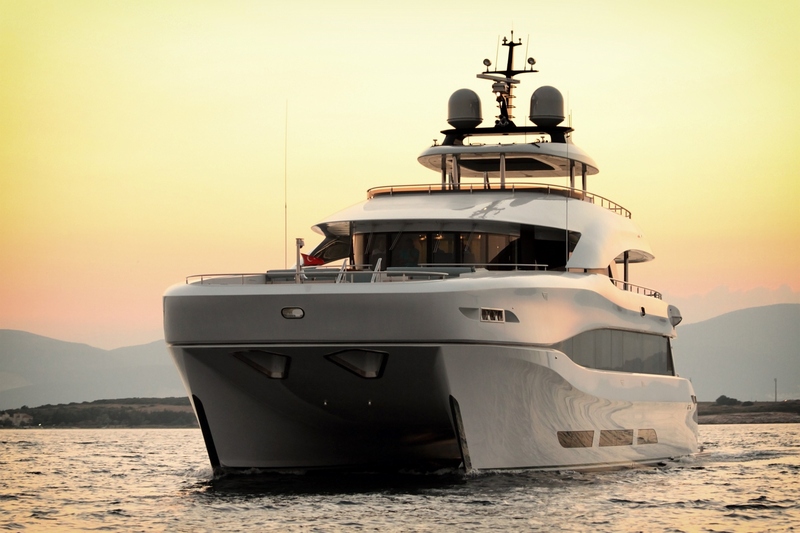 She was launched in 2013. 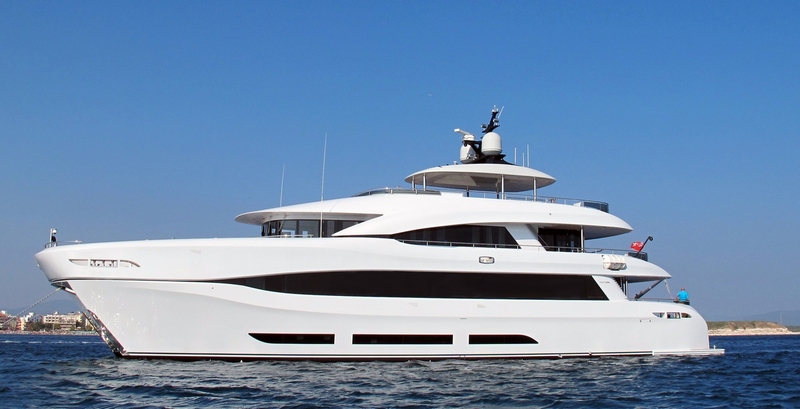 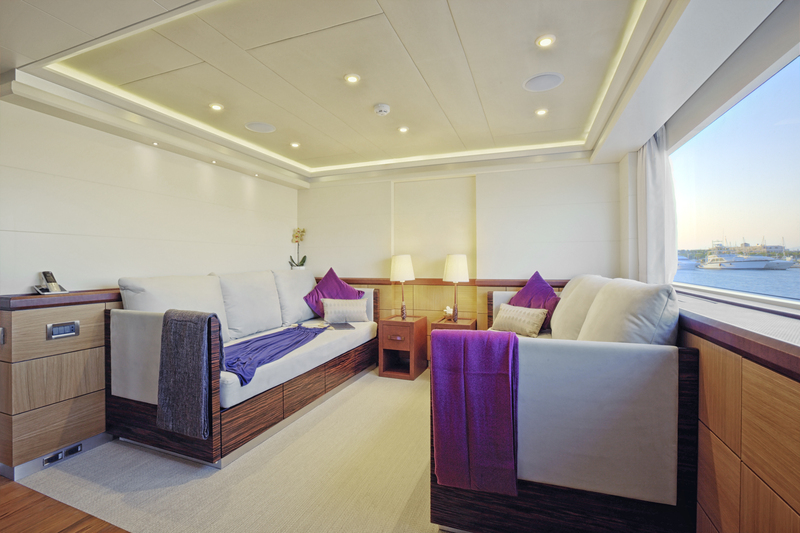 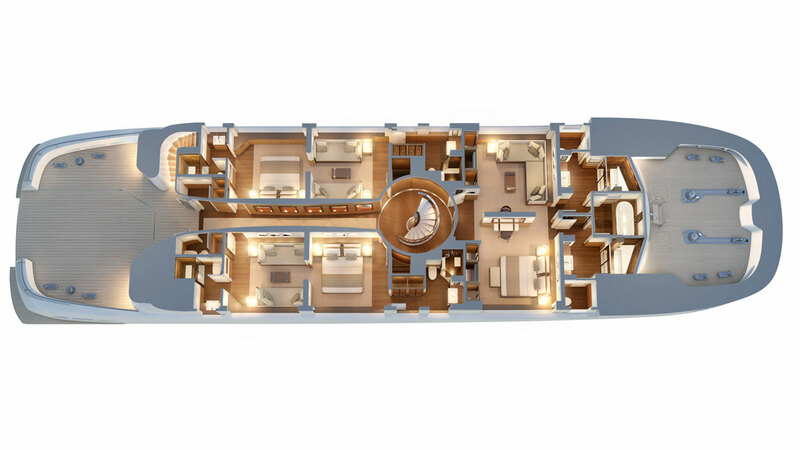 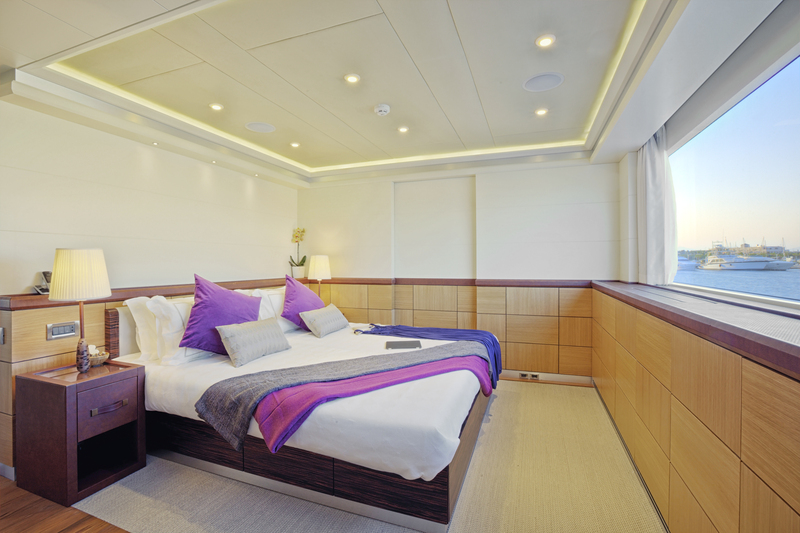 Curvelle superyacht Quaranta offers six well-appointed staterooms for 12 guests in total. 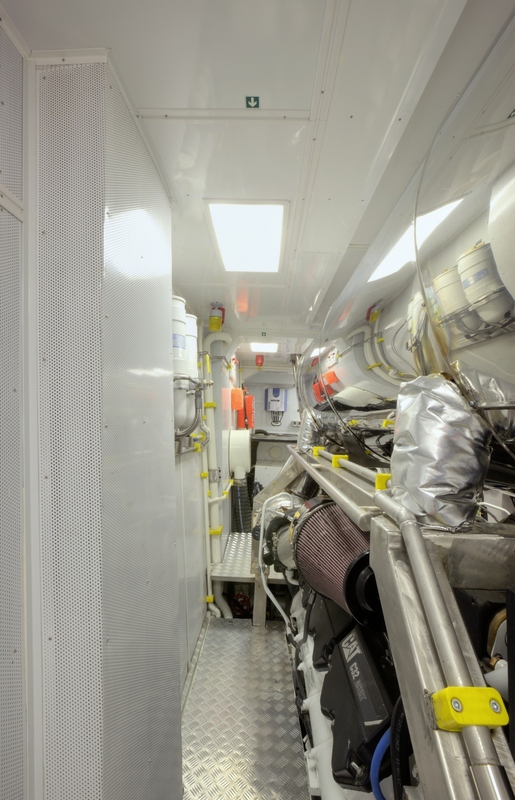 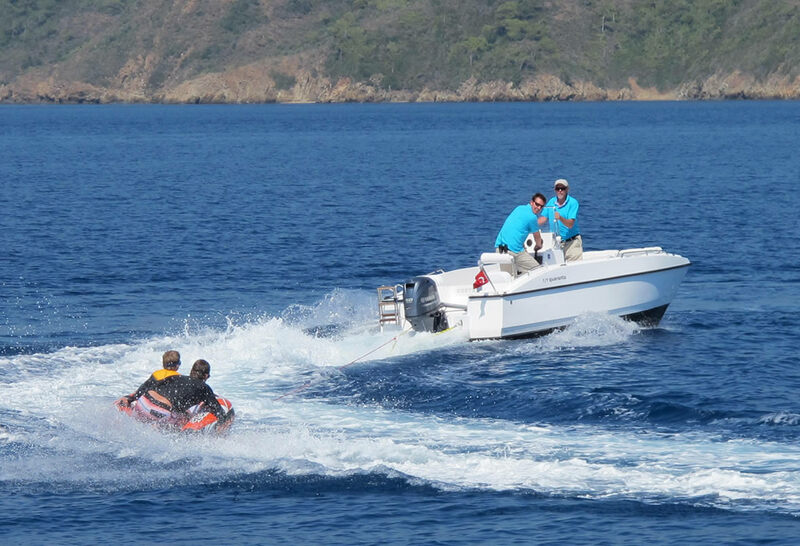 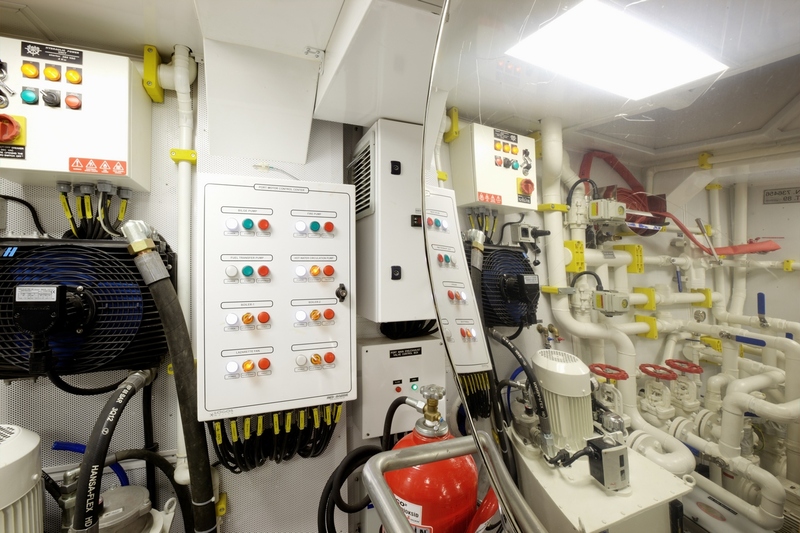 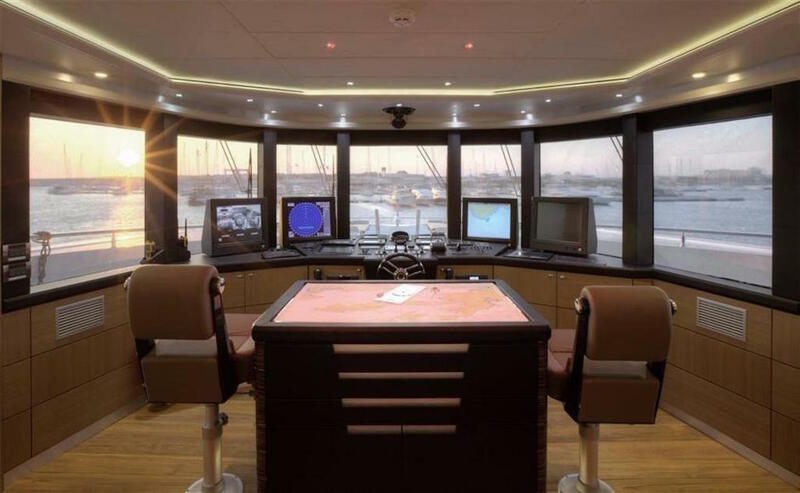 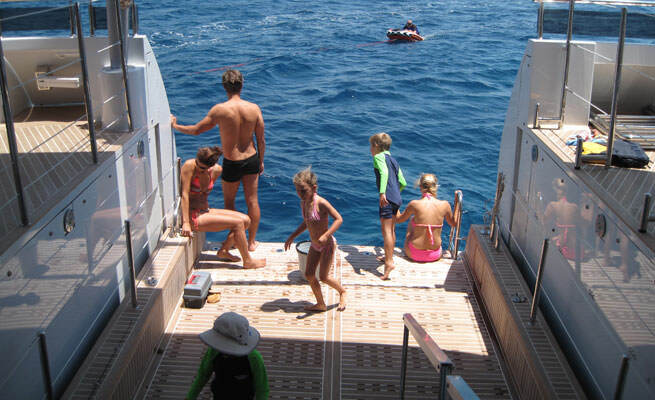 There is also space for the vessel's friendly and dedicated crew of 6 professionals. 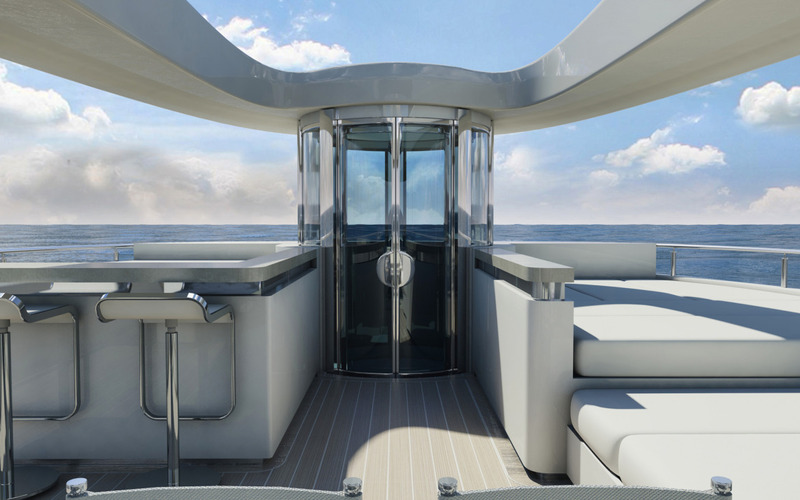 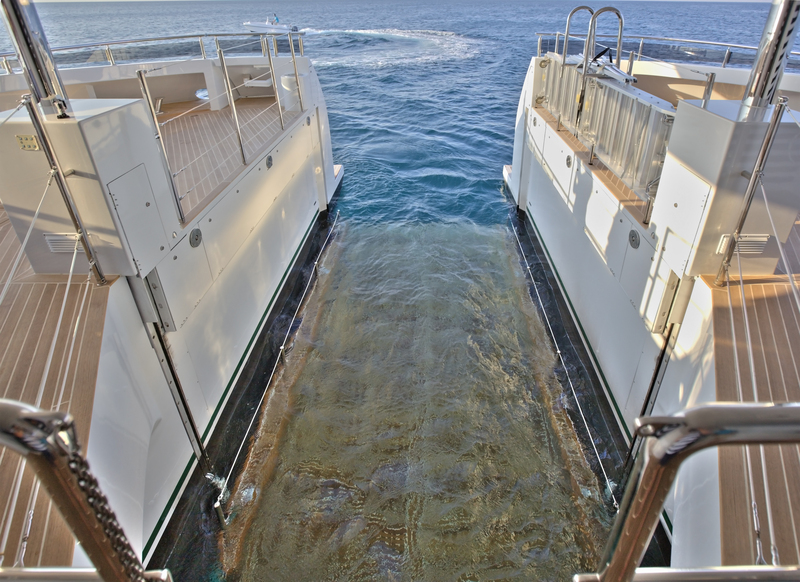 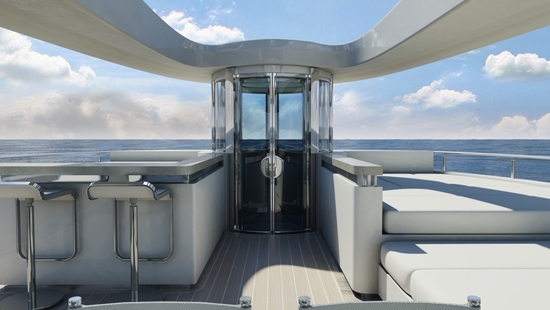 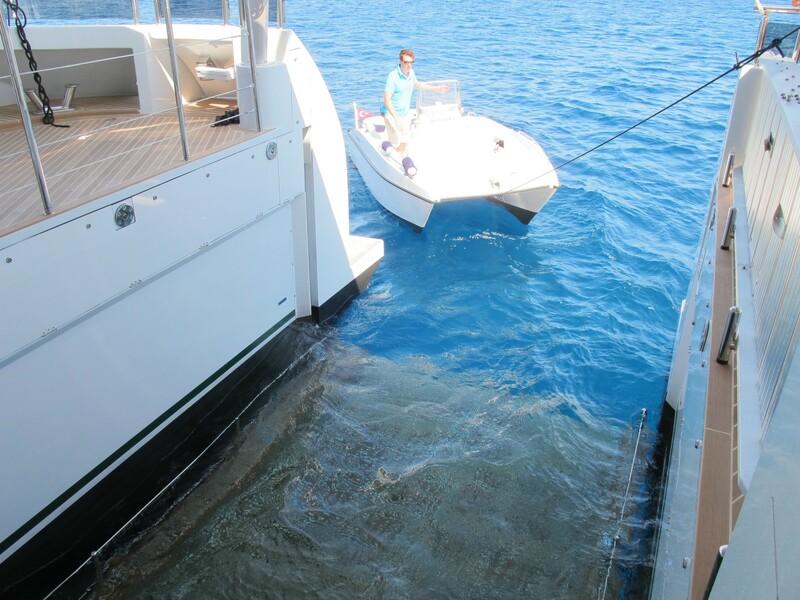 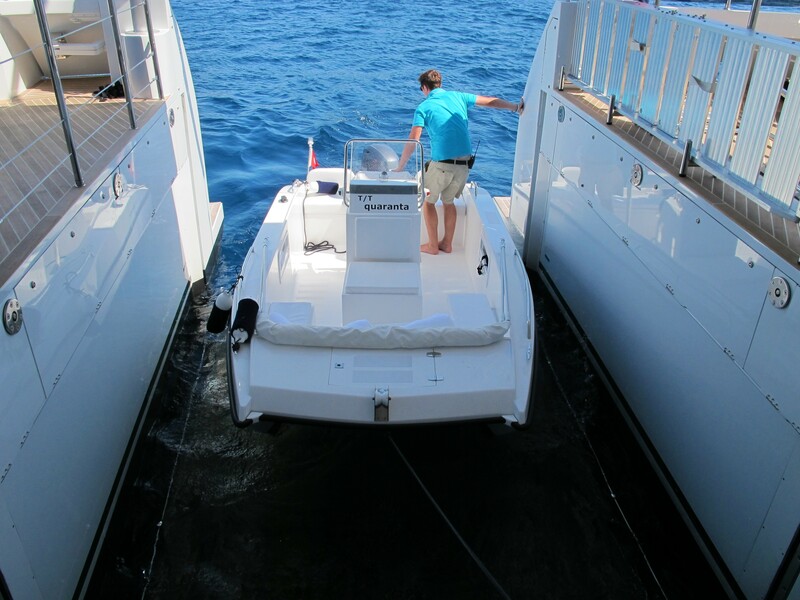 The aft deck area is utilized as a lifting platform. 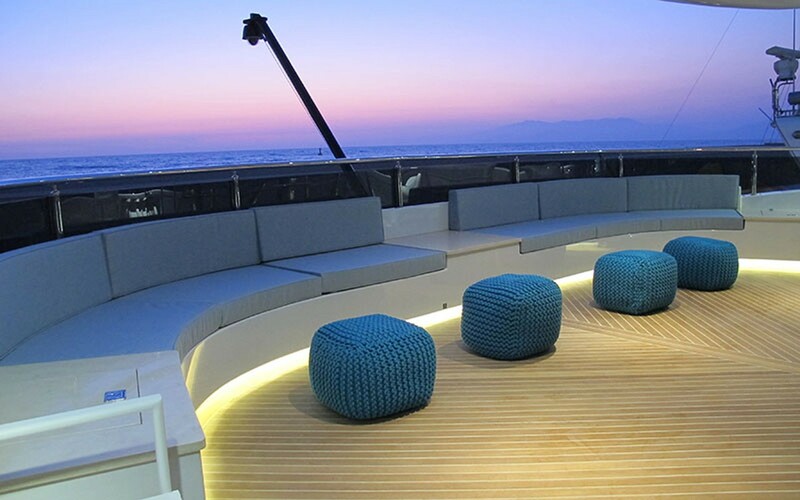 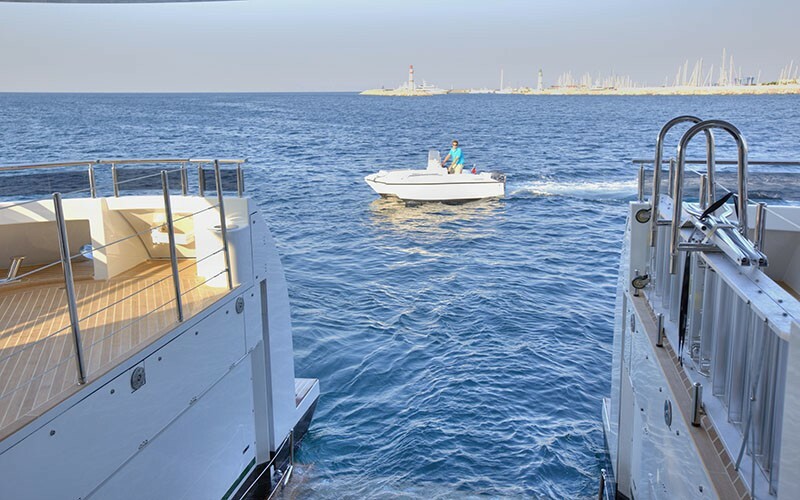 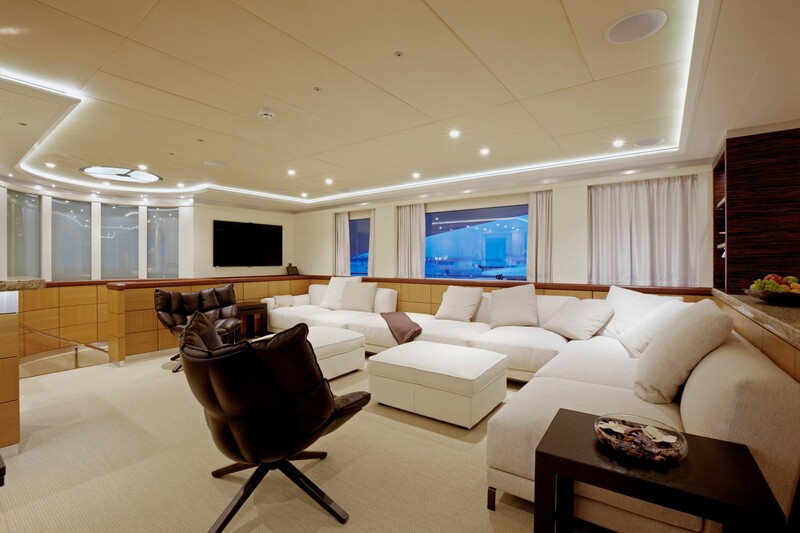 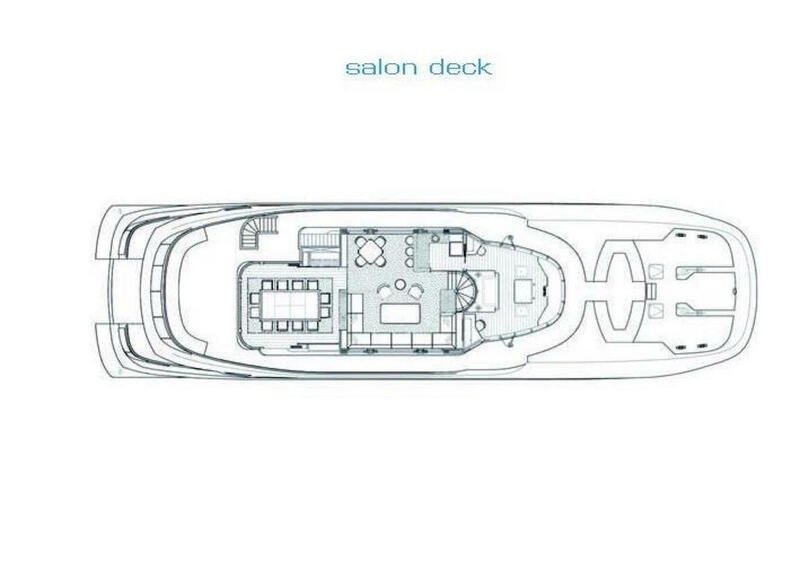 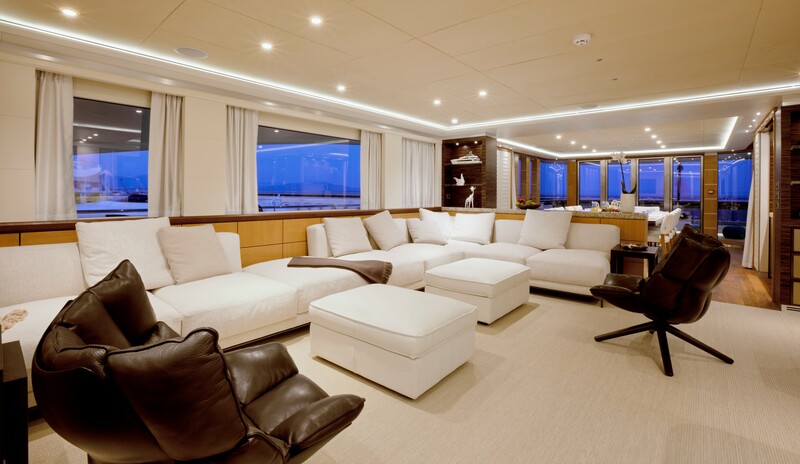 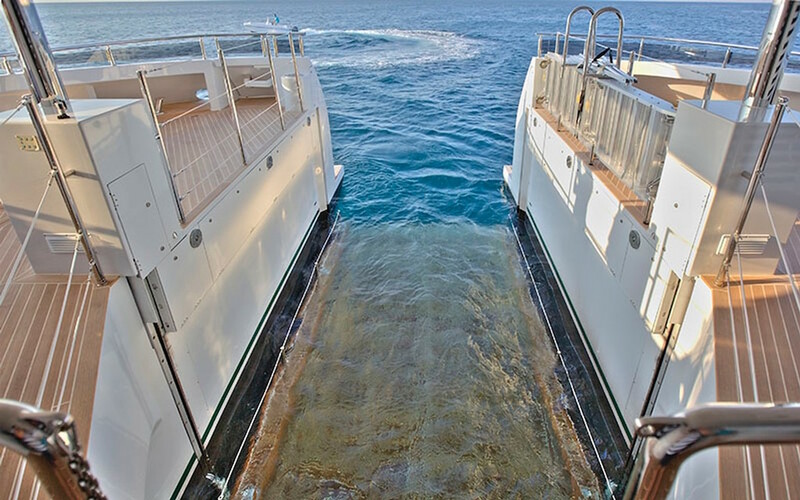 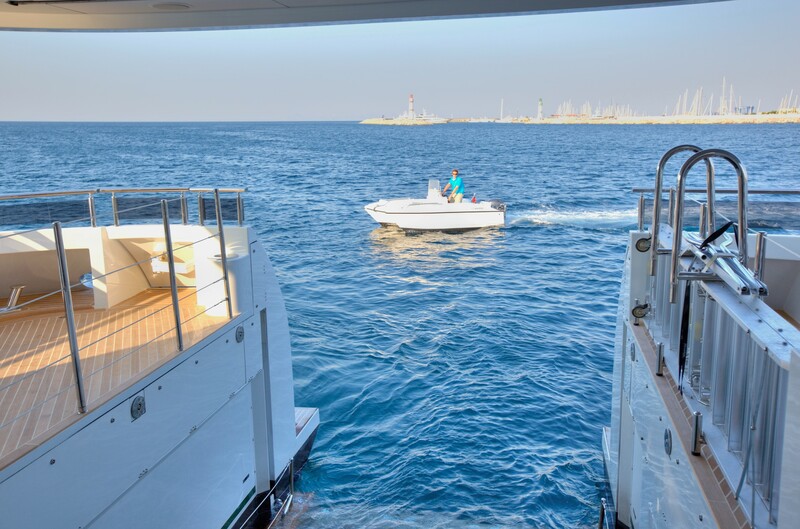 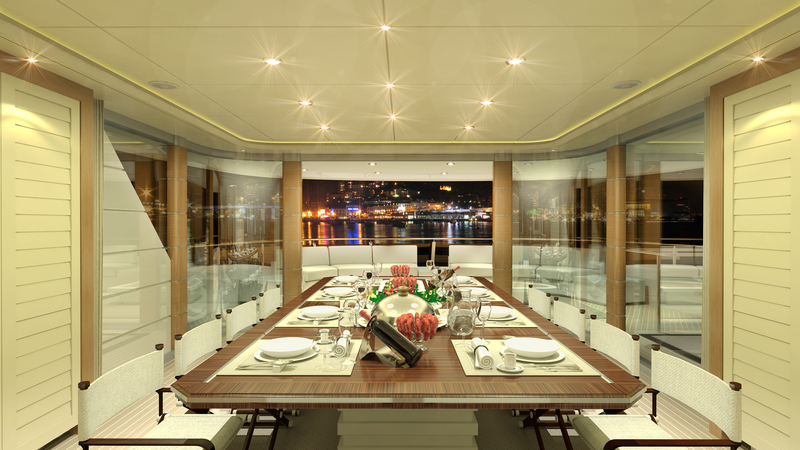 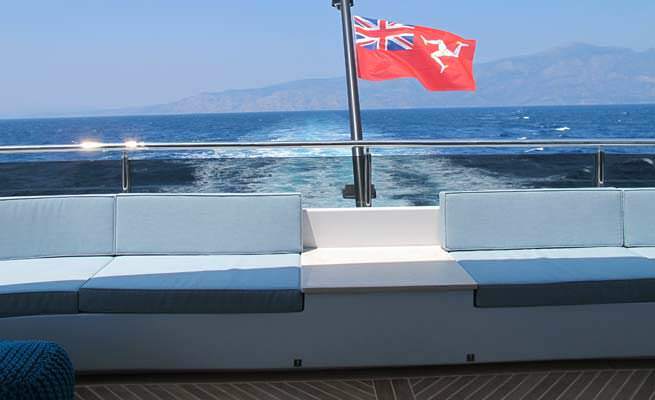 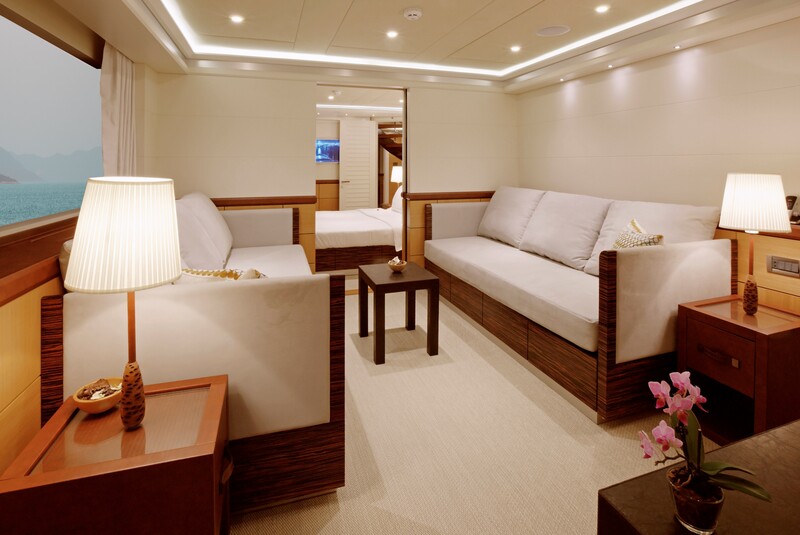 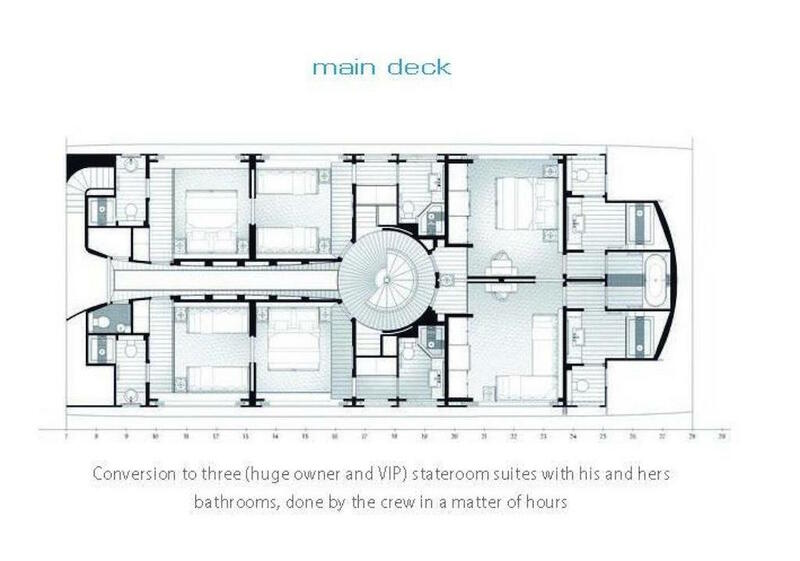 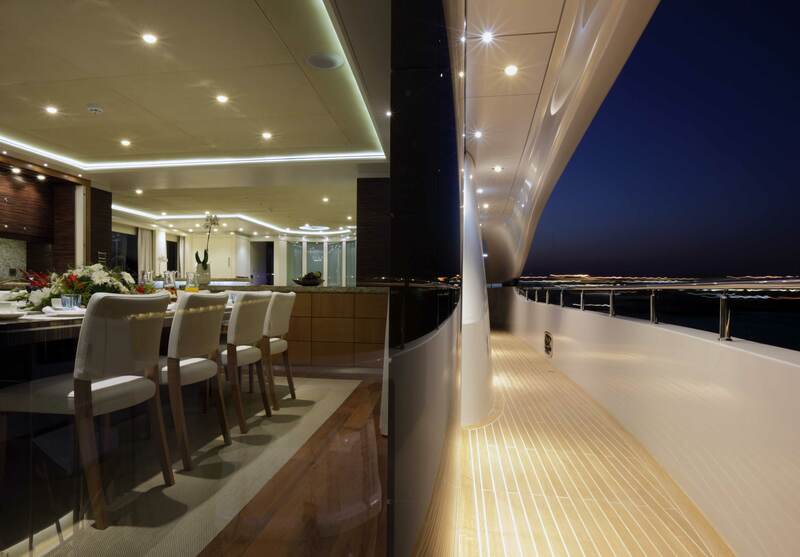 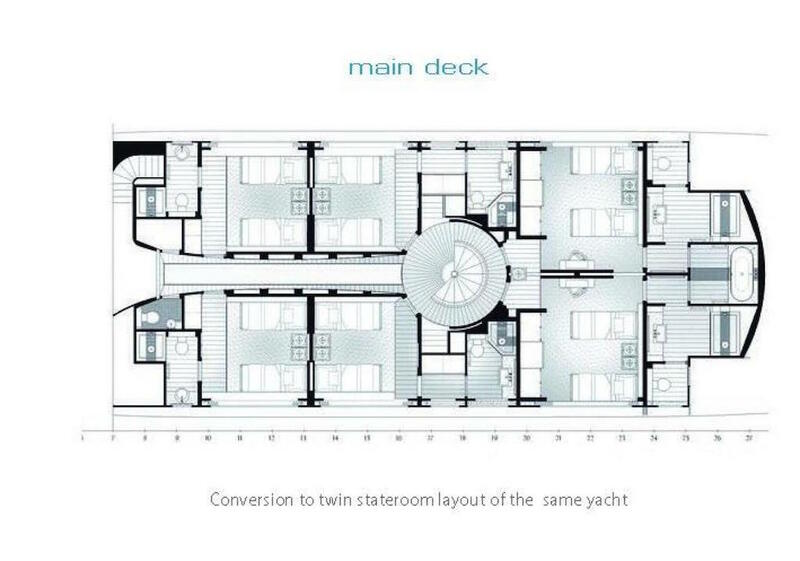 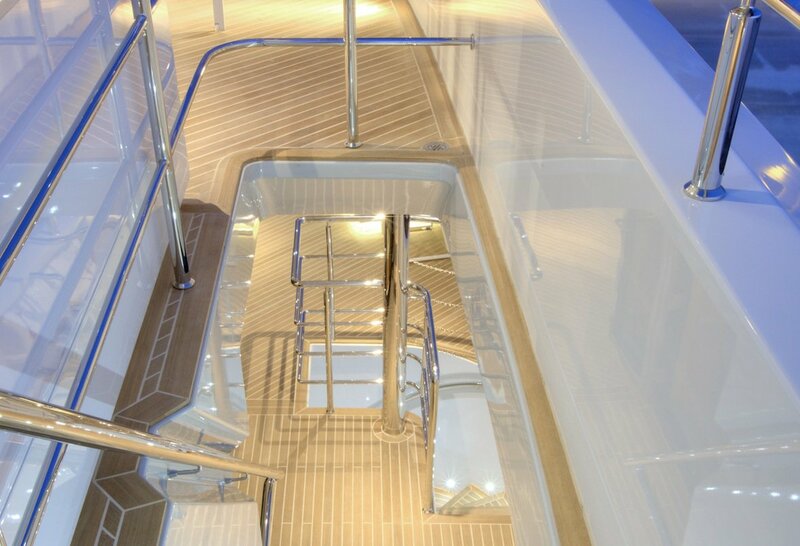 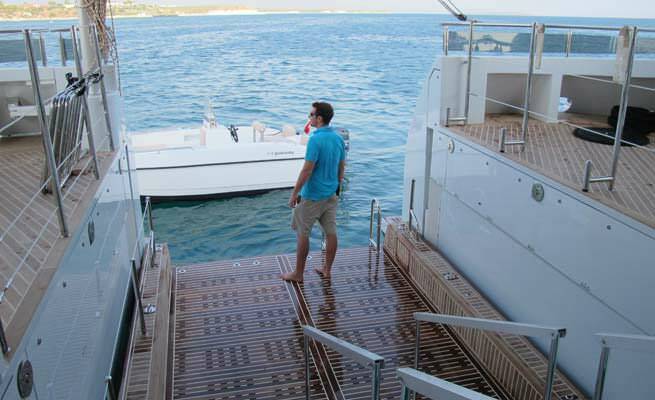 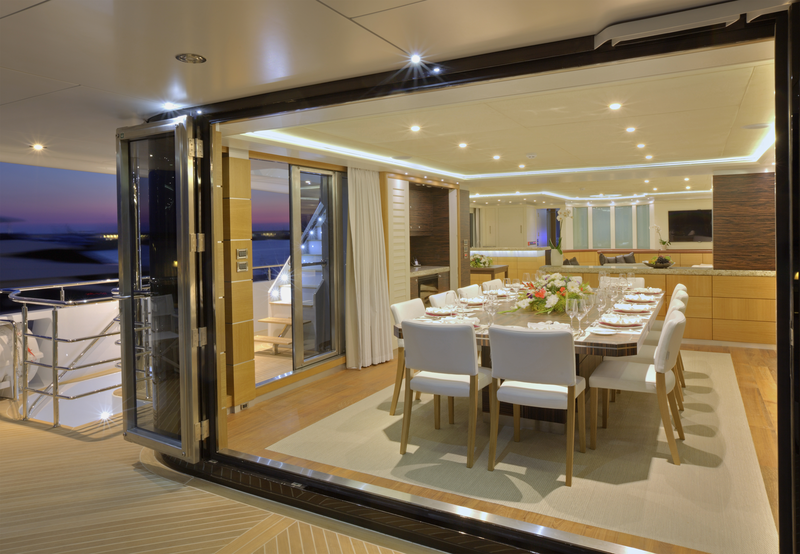 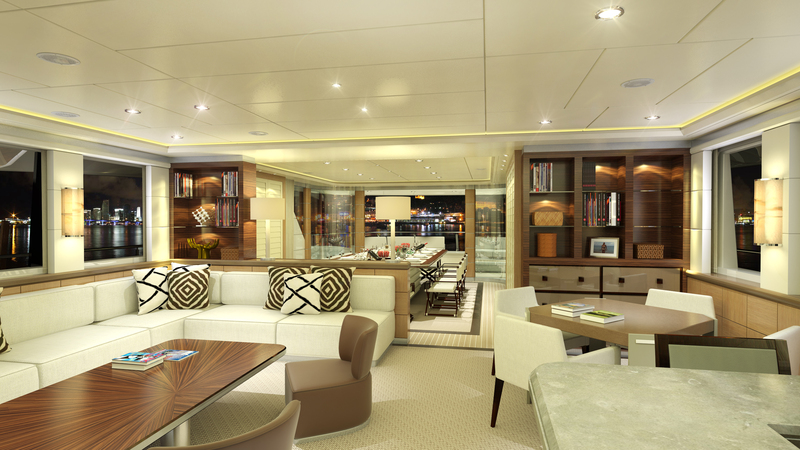 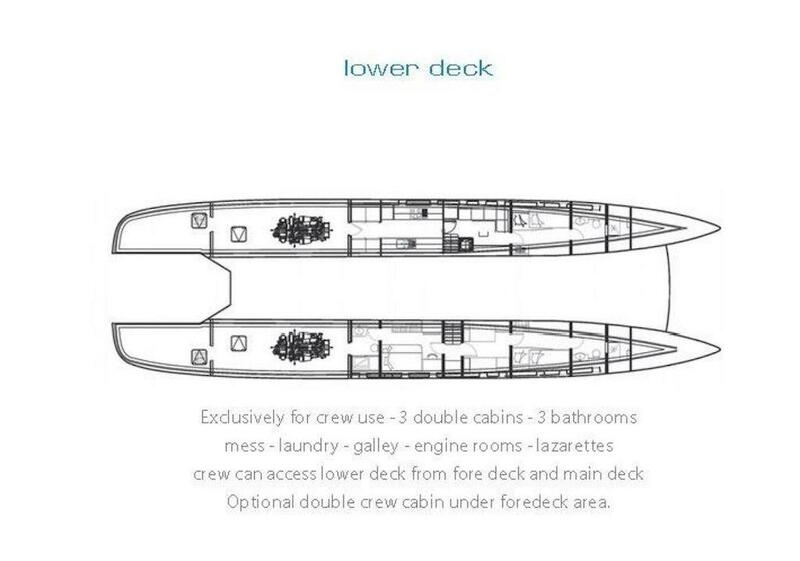 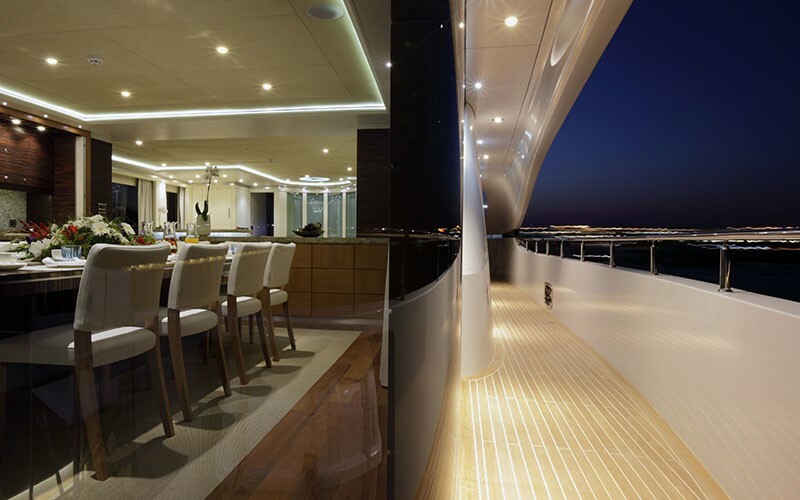 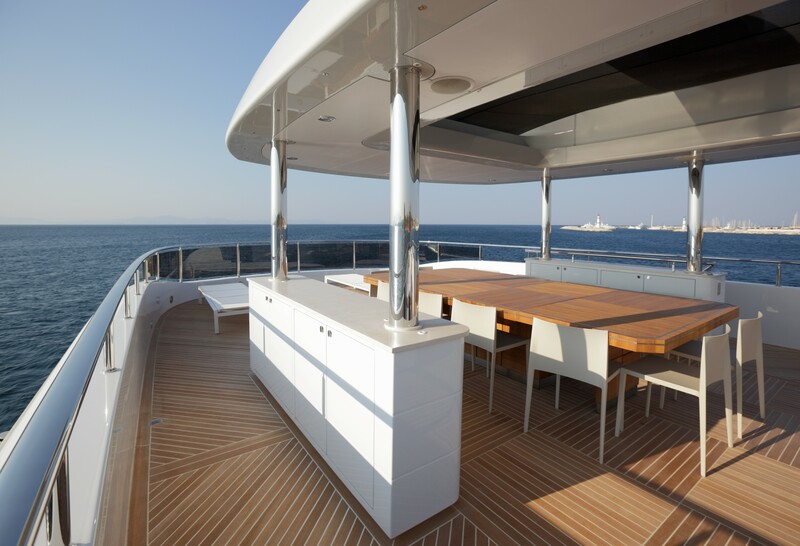 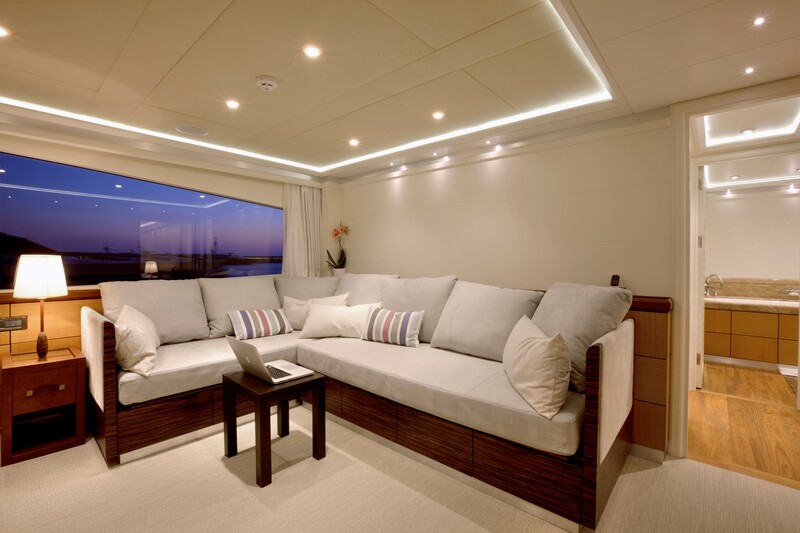 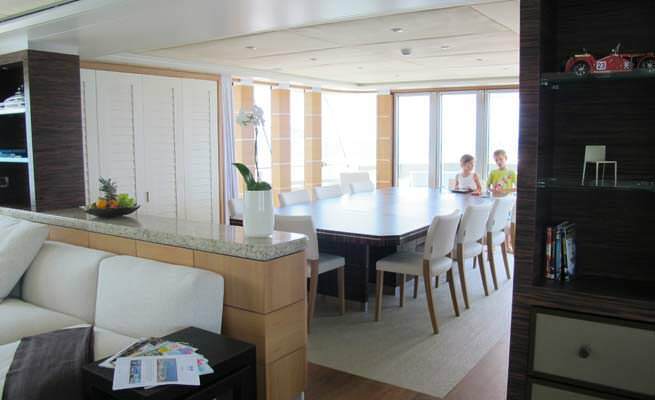 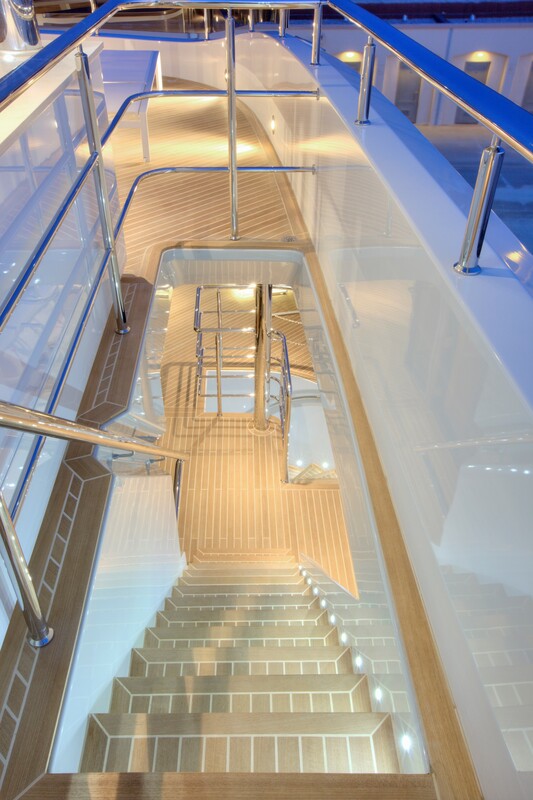 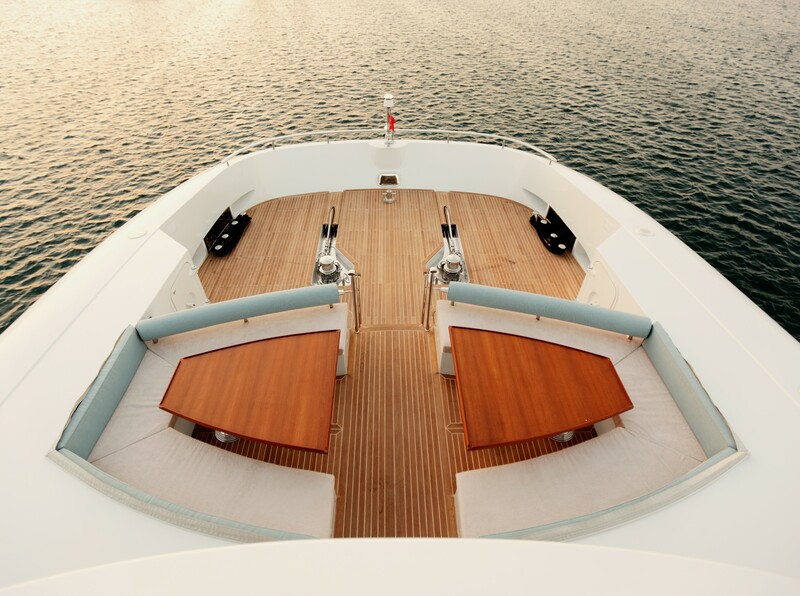 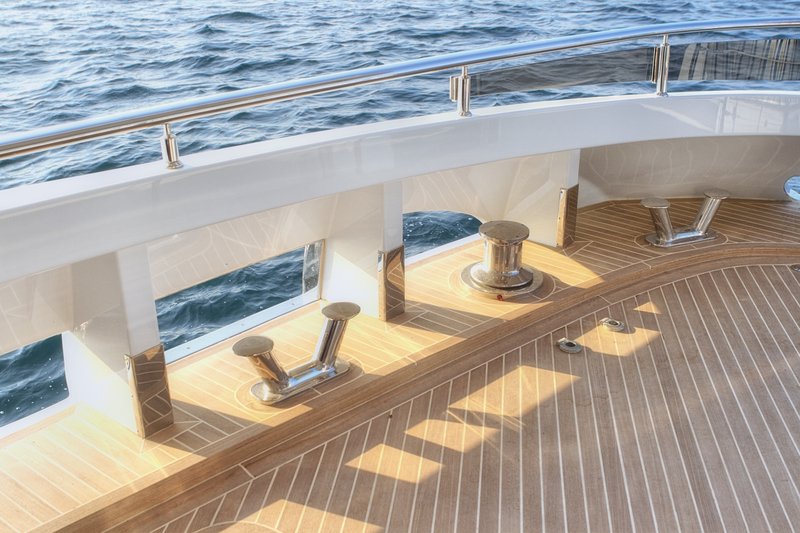 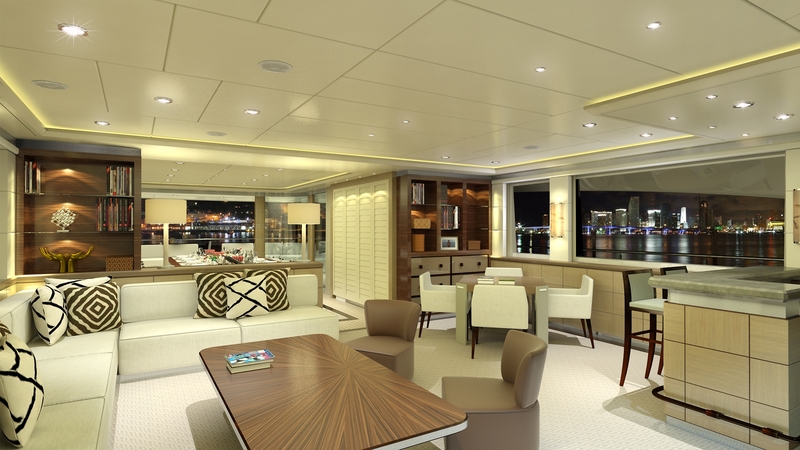 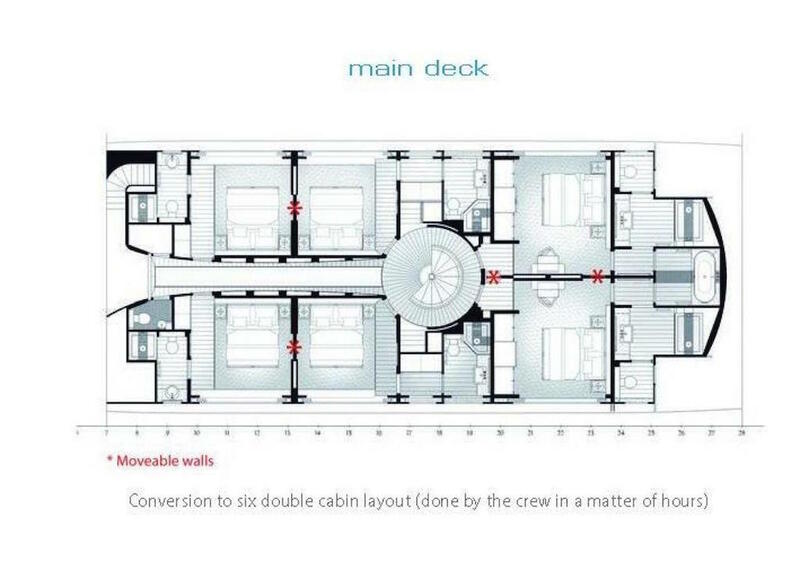 At deck level, it provides a large area for lounging or entertaining with the tender docked safely out of sight between the hulls. 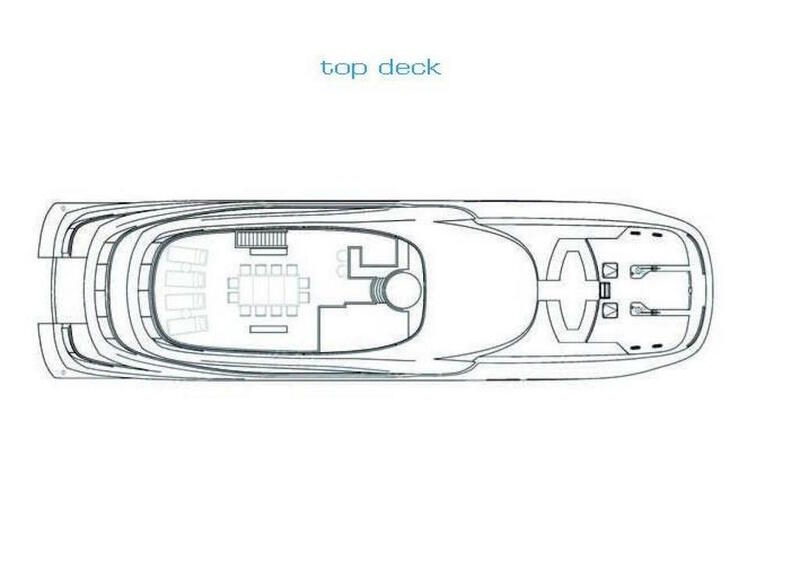 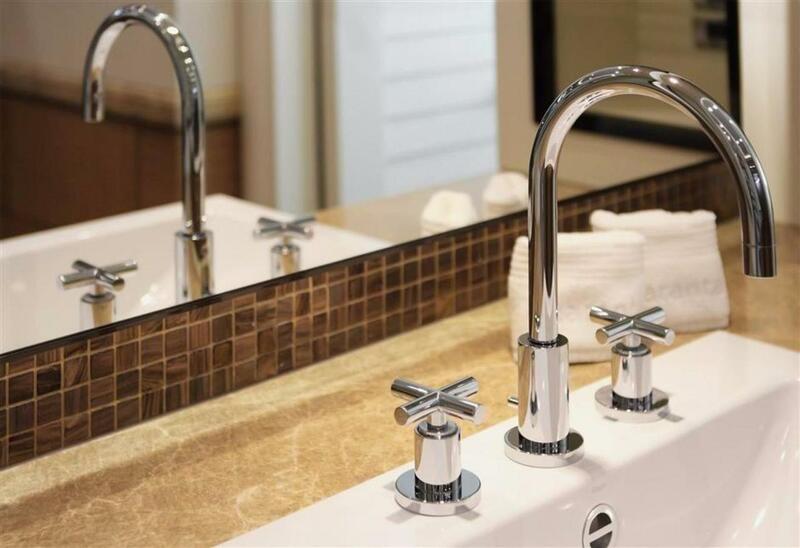 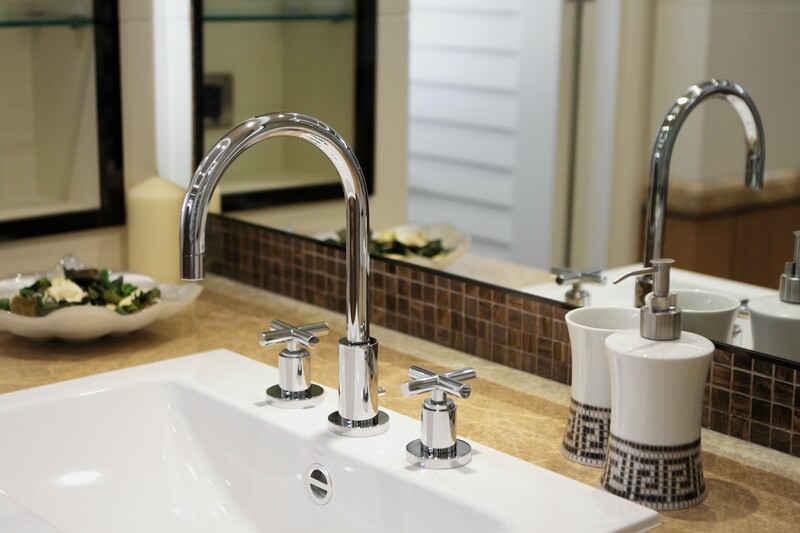 It can also be lowered to water level and become the beach club and with a touch of a button have two water cascades with spa bubbles from underneath. 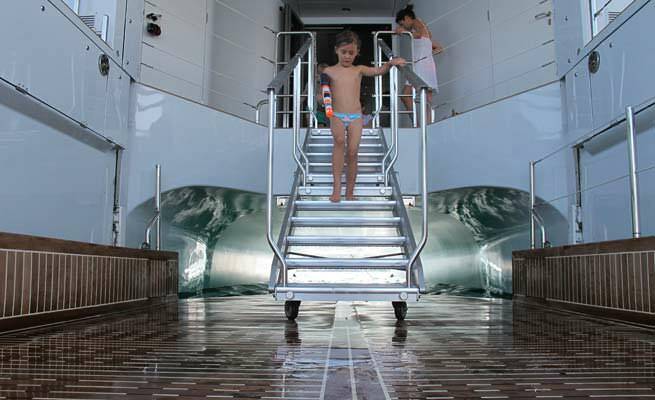 The platform can also be lowered below the water surface to launch toys and tenders, including the U-Boat Worx C-Quester 2 person submersible. 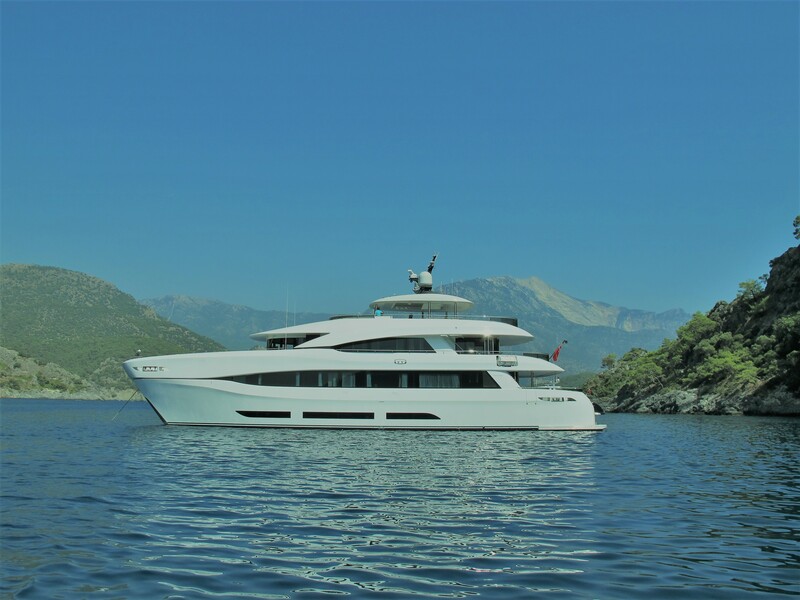 Built in composite, the 34-metre catamaran yacht Quaranta is powered by twin Caterpillar C32 Acer diesel engines, enabling her to achieve a top speed of 25 knots and a cruising speed of 23 knots. 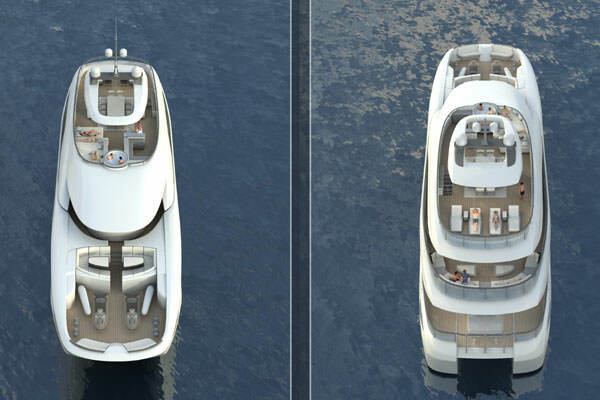 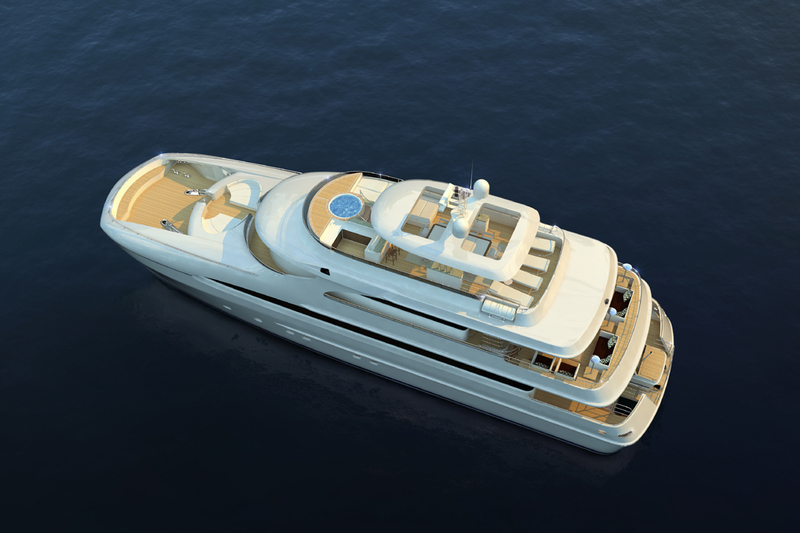 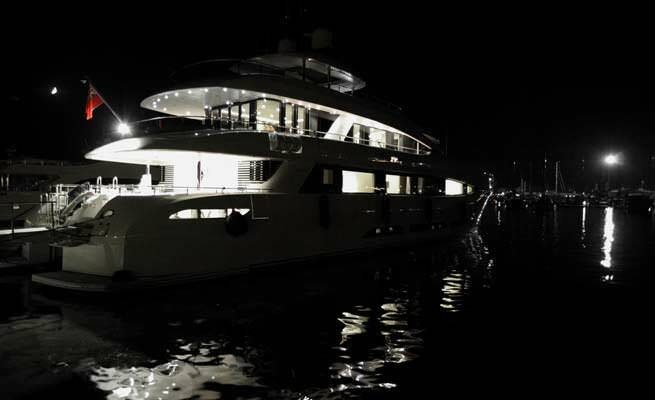 RINA, as well as MCA-classed, Quaranta, features a maximum beam of 9m (29'53'') and a maximum draught of 2,3m (7'55''). 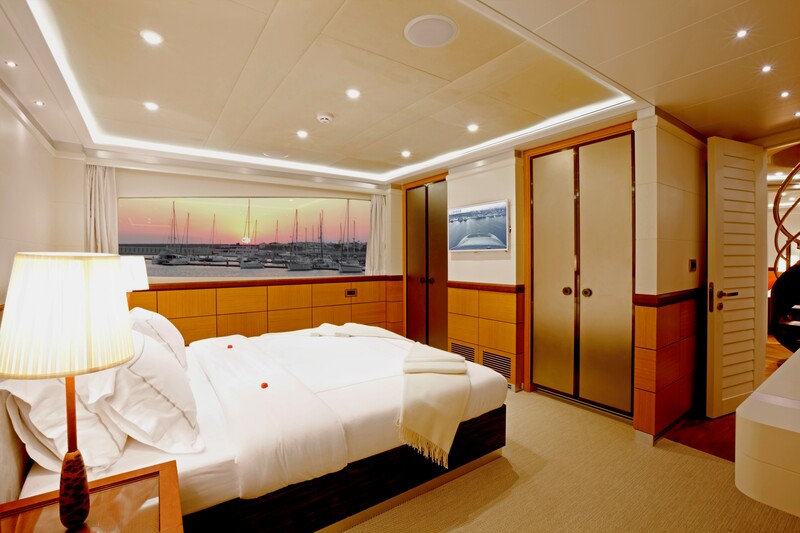 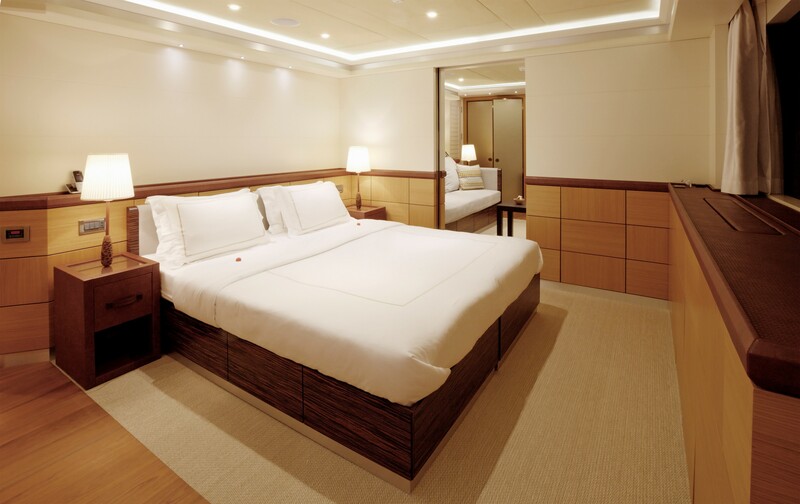 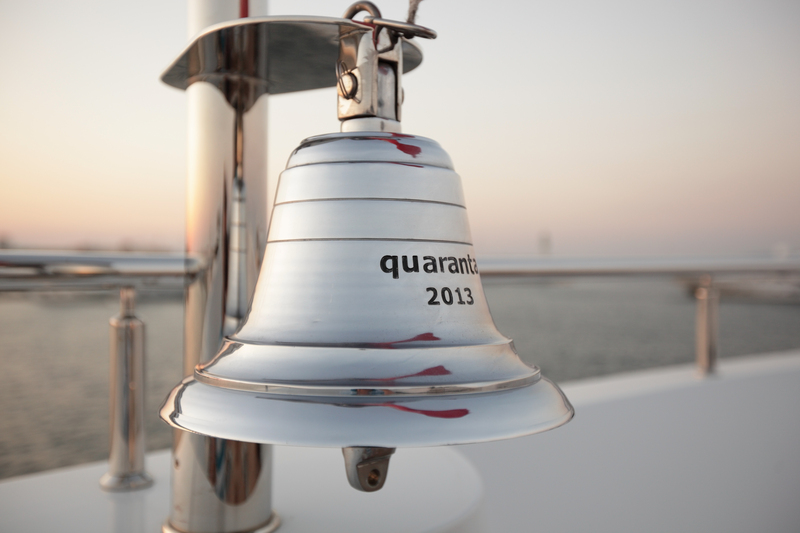 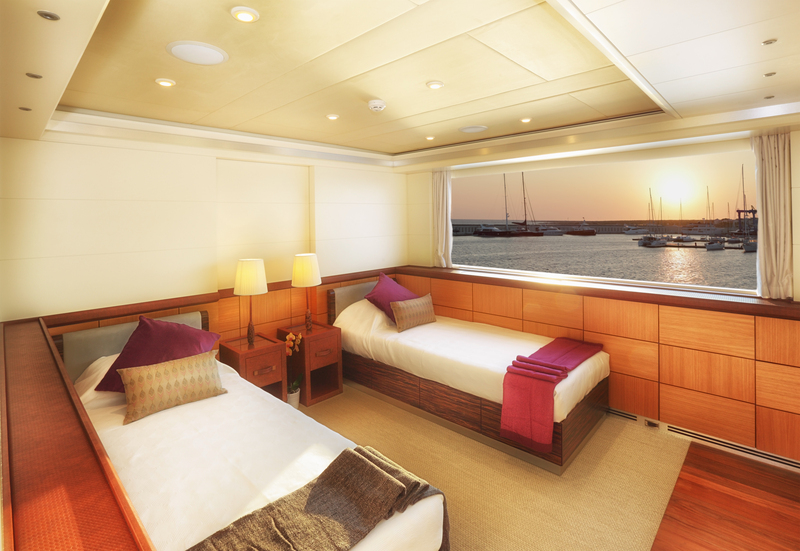 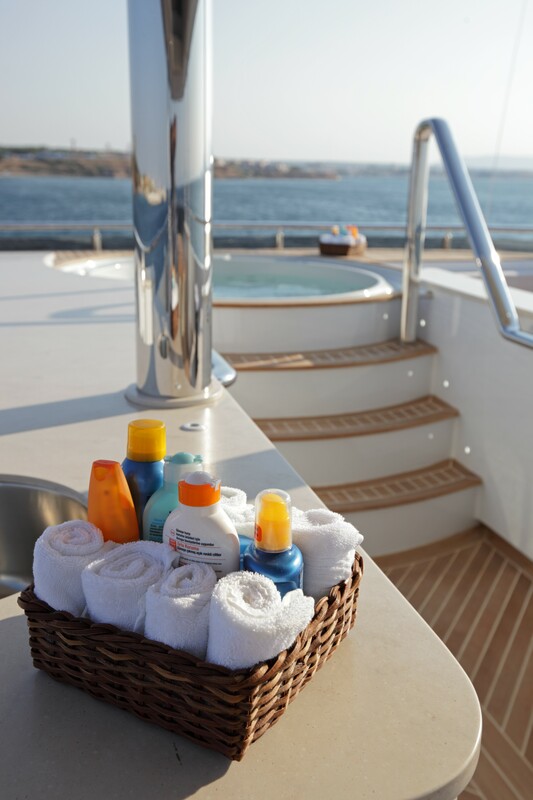 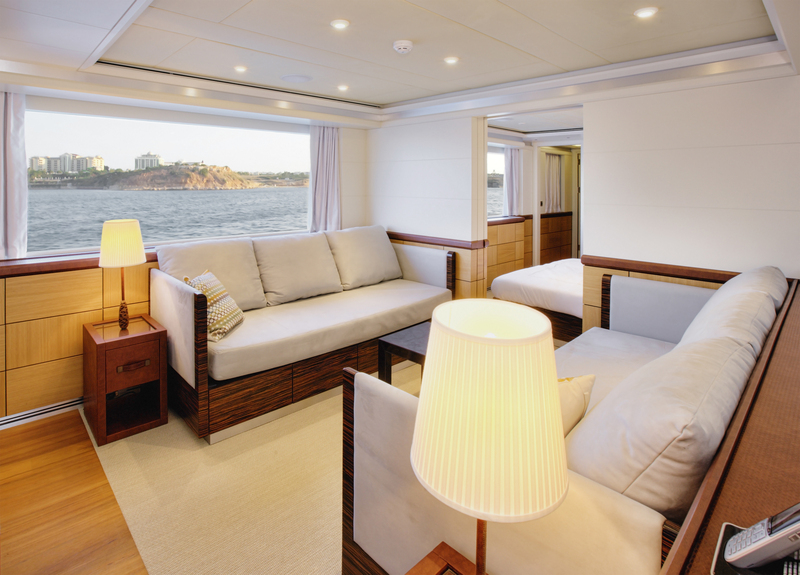 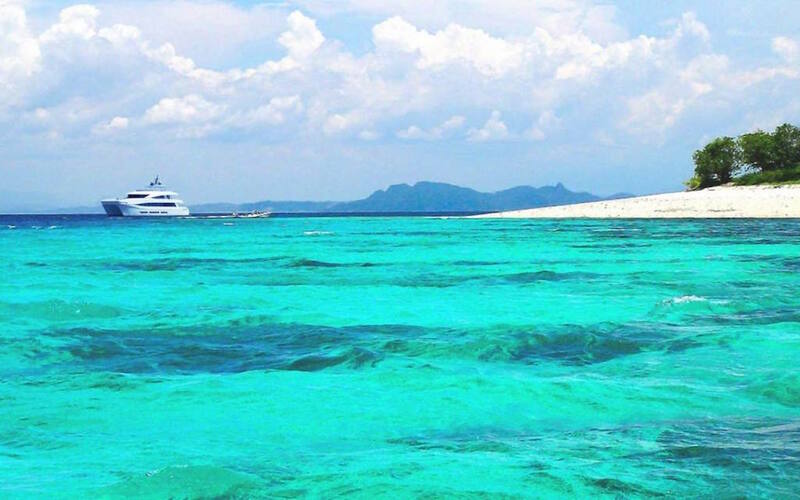 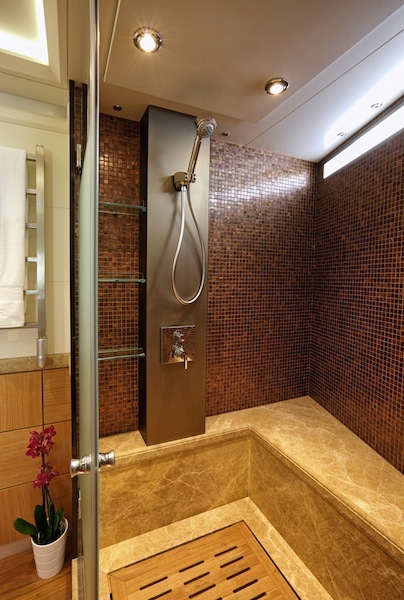 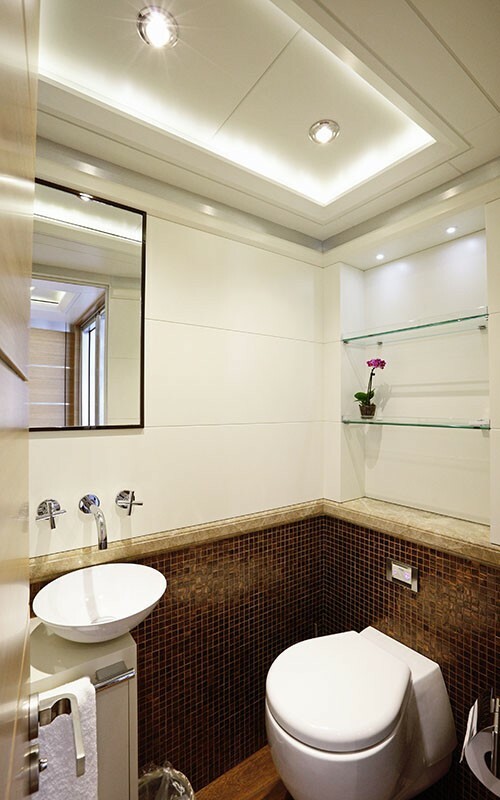 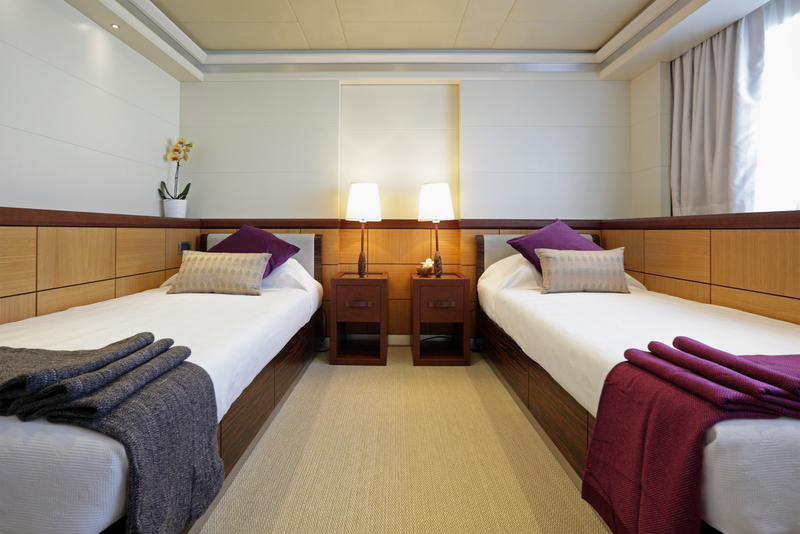 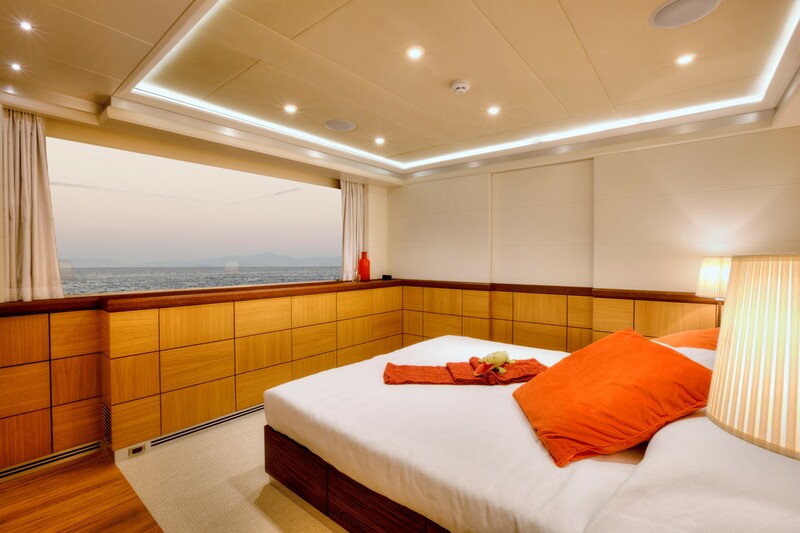 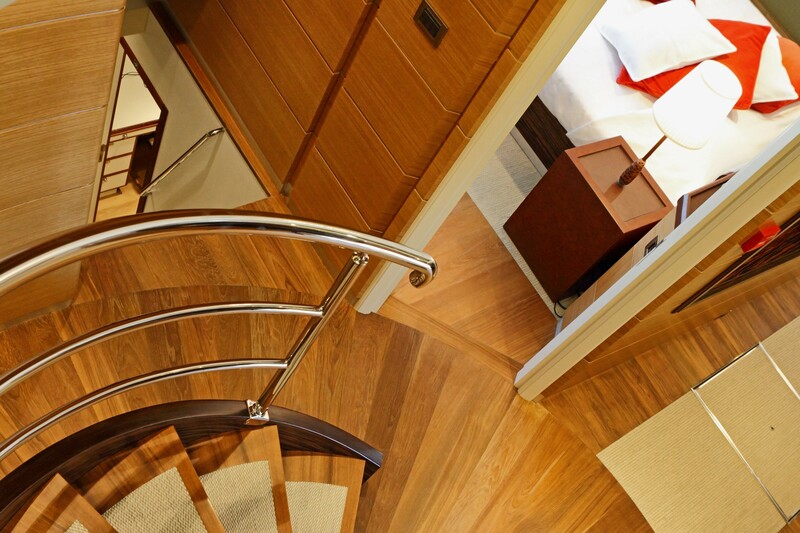 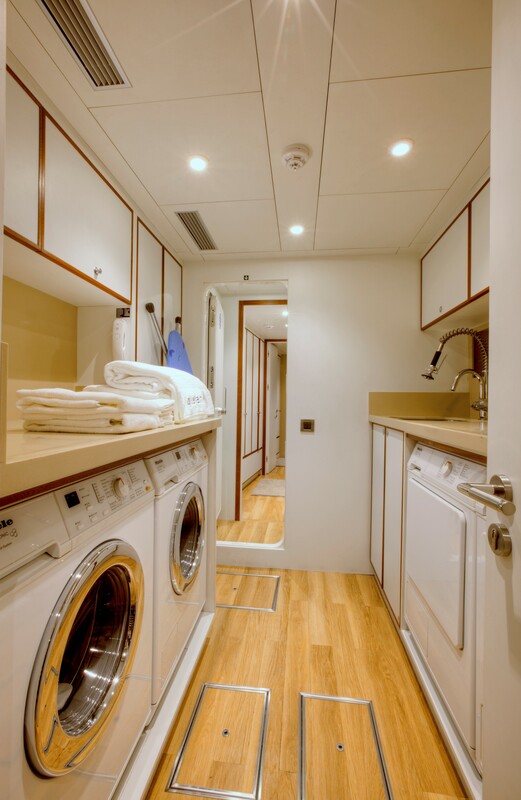 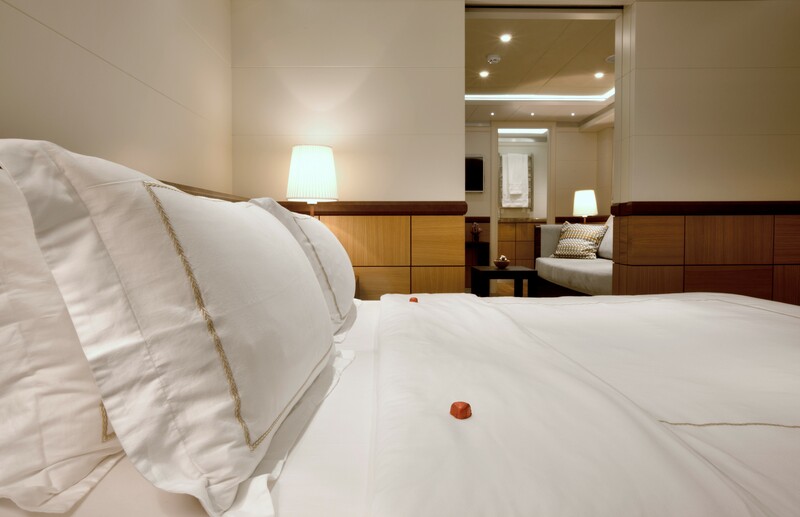 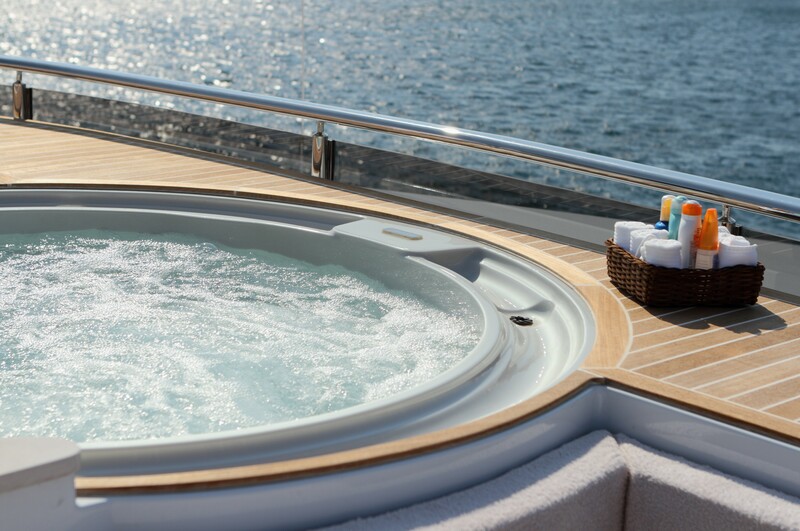 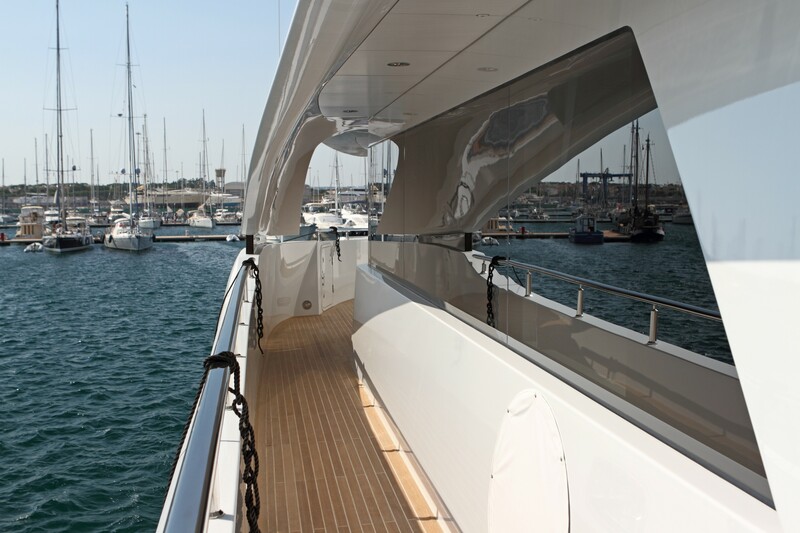 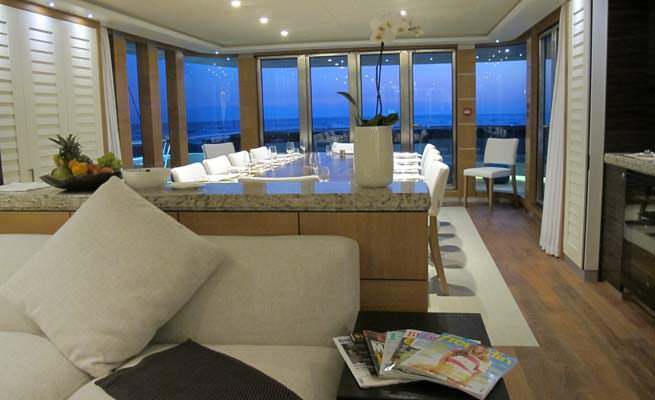 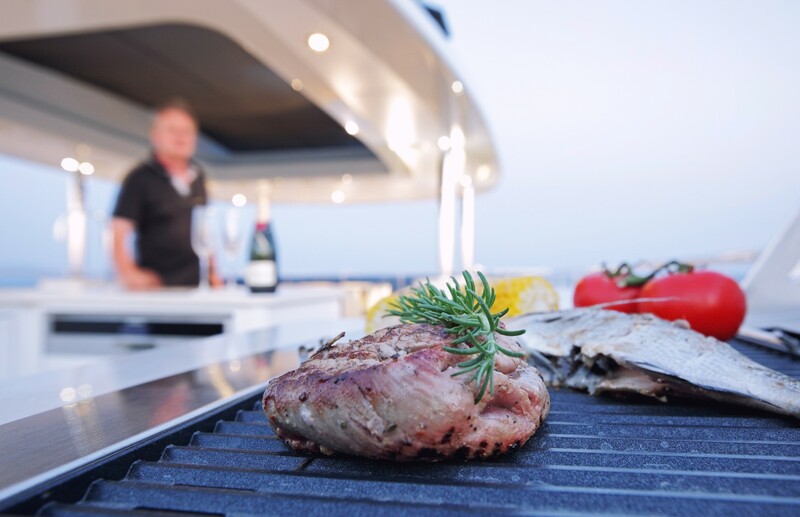 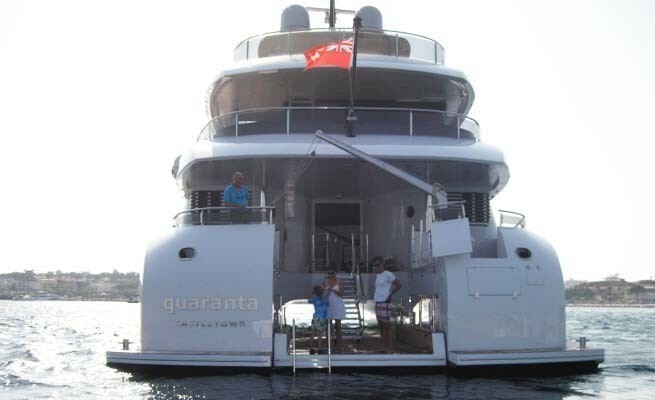 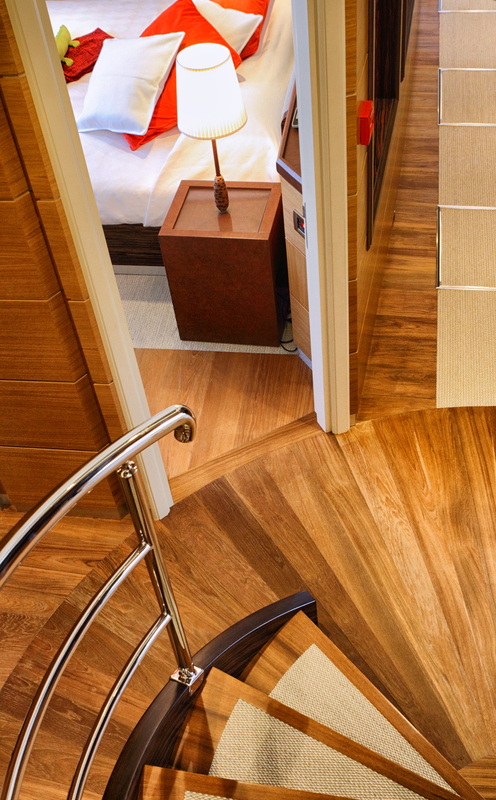 Accommodation aboard yacht Quaranta is divided into 6 luxurious staterooms for up to 12 guests. 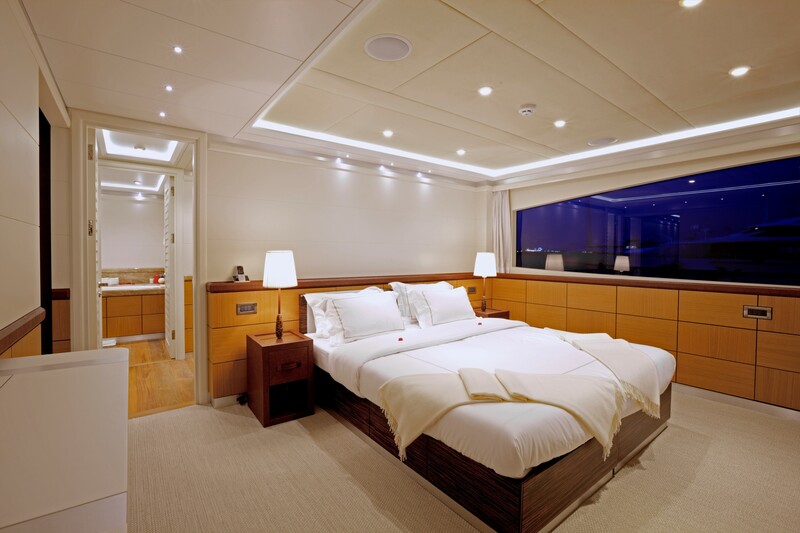 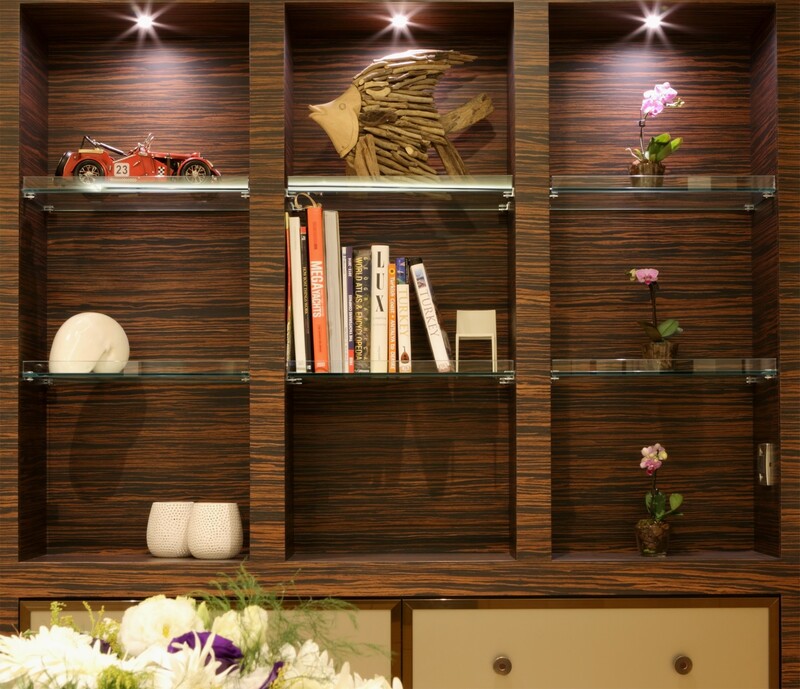 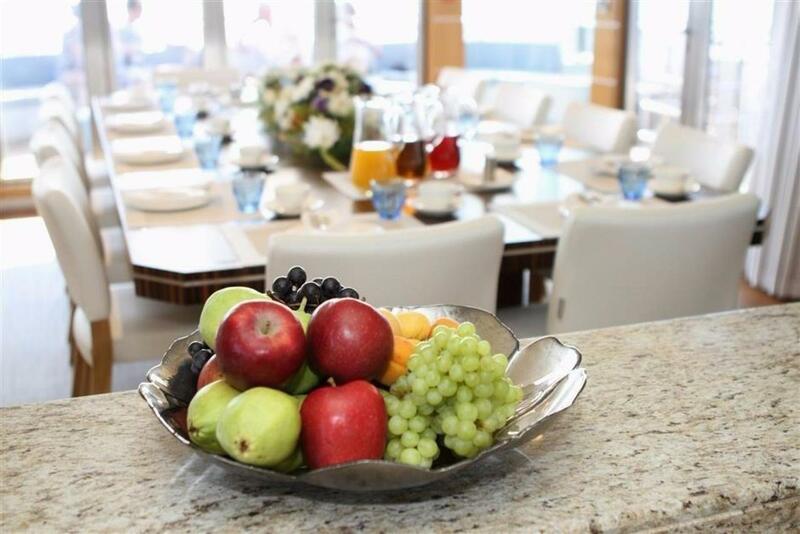 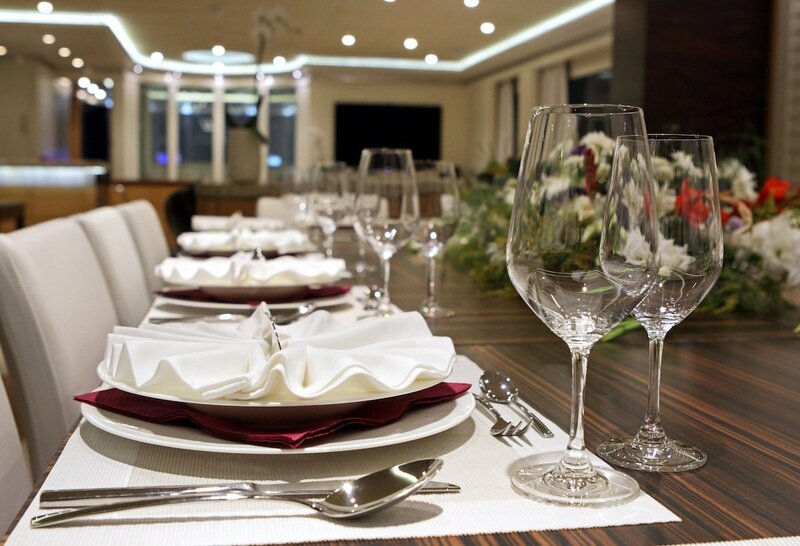 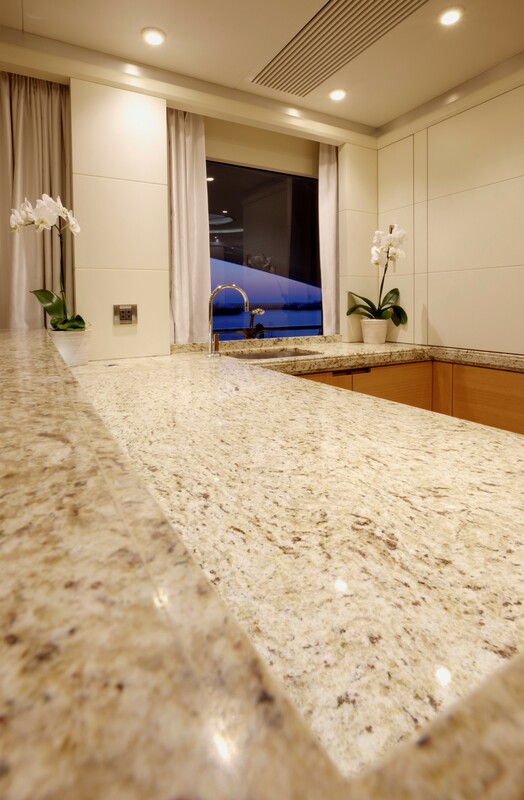 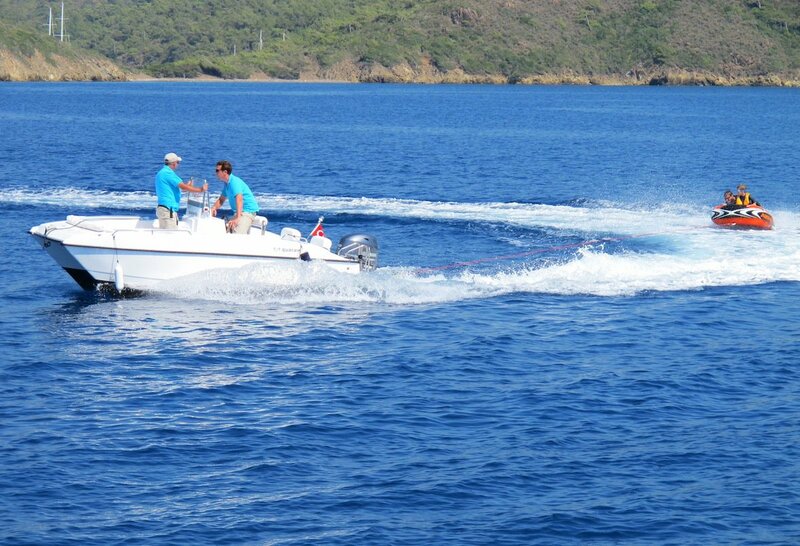 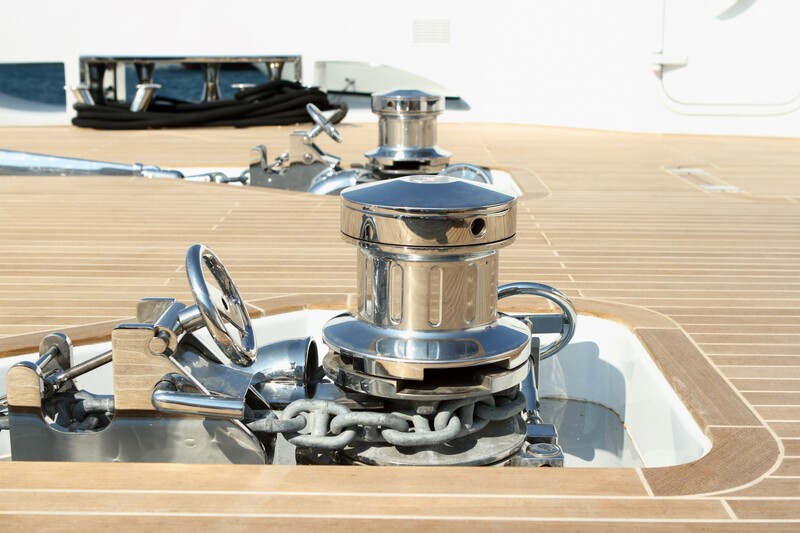 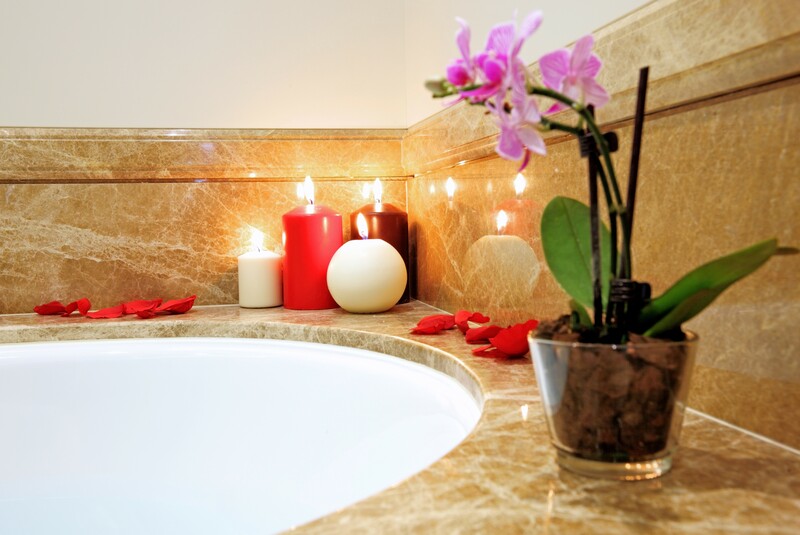 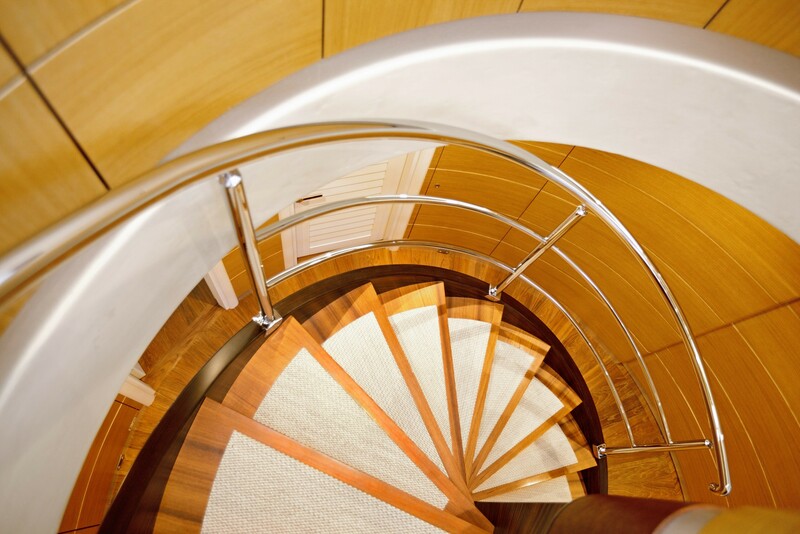 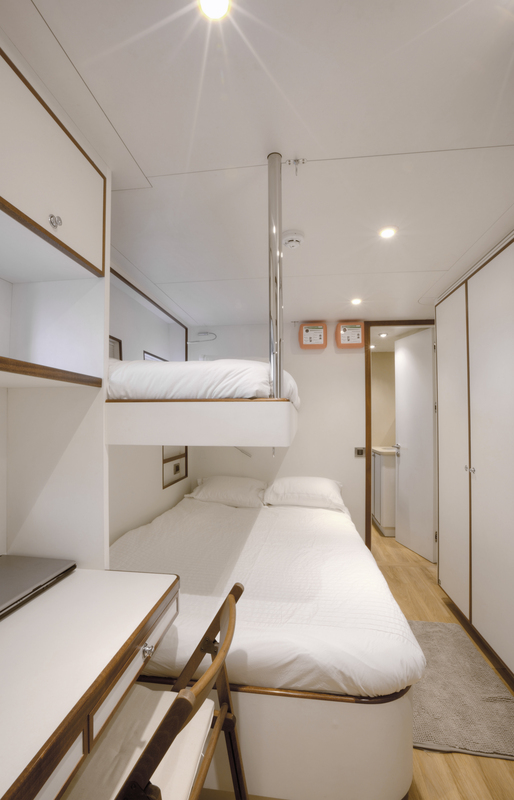 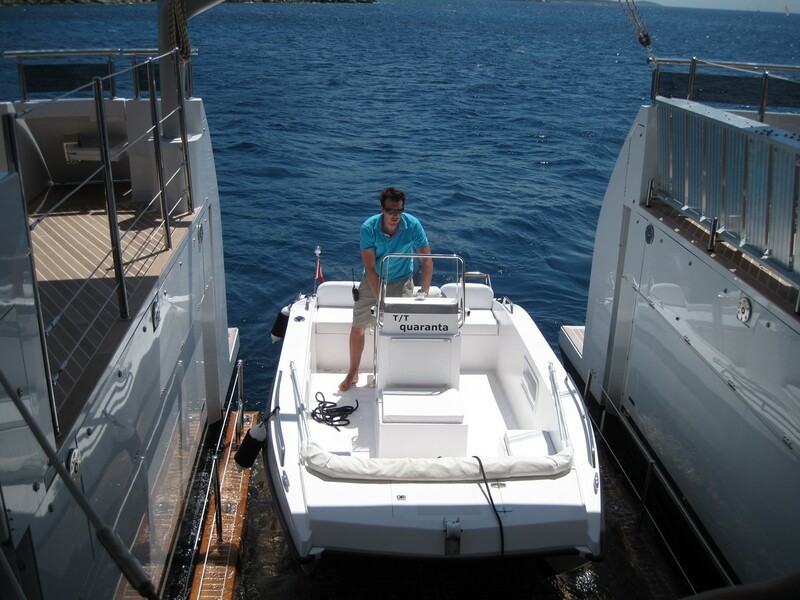 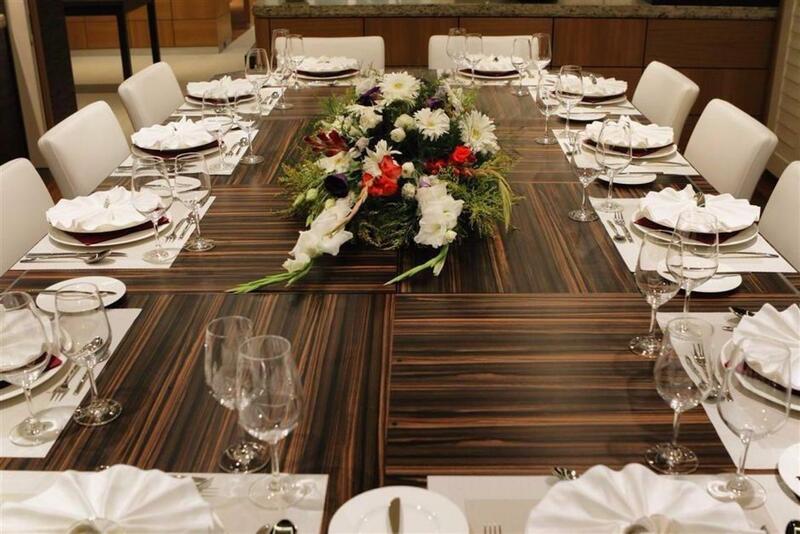 There is also accommodation for the vessel's impeccable crew of 6 professionals. 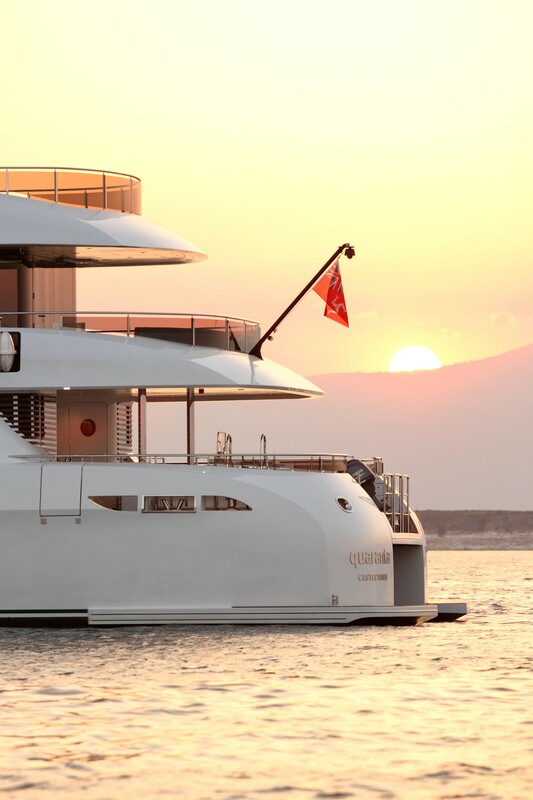 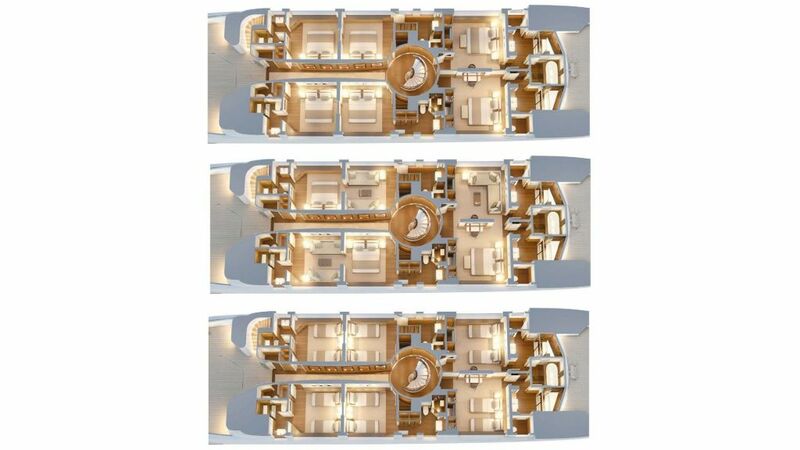 Curvelle - Logos superyacht Quaranta boasts a unique lifting platform that can go 85m below the surface to launch water toys as well as tenders, such as the U-Boat Worx C-Quester 2 person submersible.